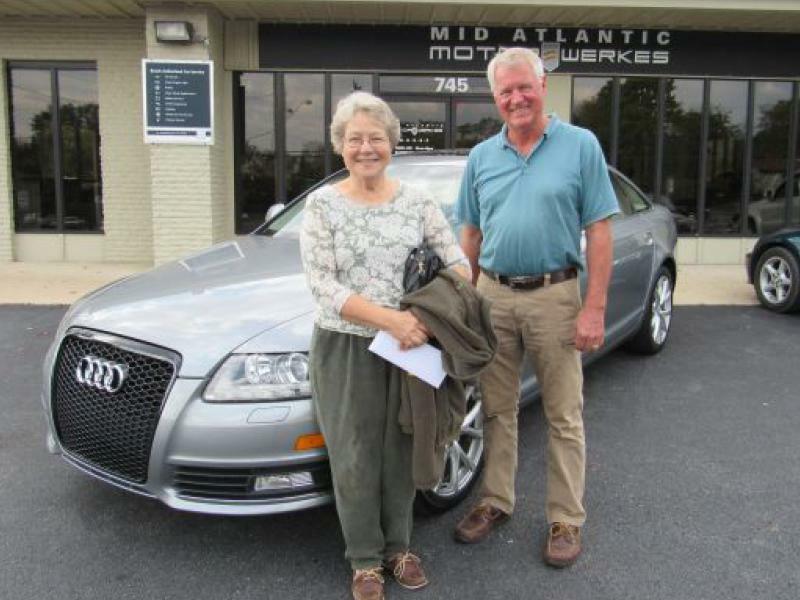 First let me start that we know Greg Shaffer for many years, and have bought several cars from Mid Atlantic Motorwerkes. One may ask, why? The answer is simple. 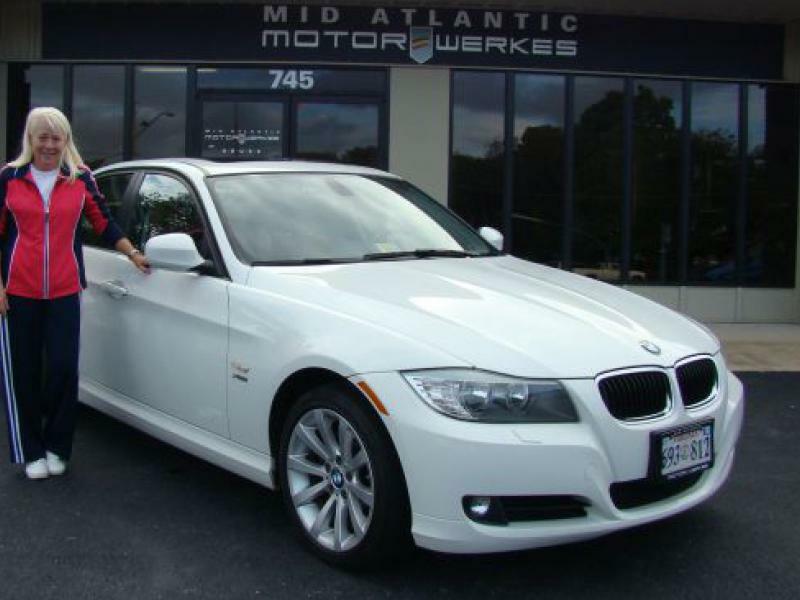 The cars are impeccable, reliable, and high-end cars at a very affordable price. There is no mind game, no hassle, or the dealer trying to drain your budget. Everyone there is friendly, to the point you feel being part of a caring family. My last experience was a dream come true. 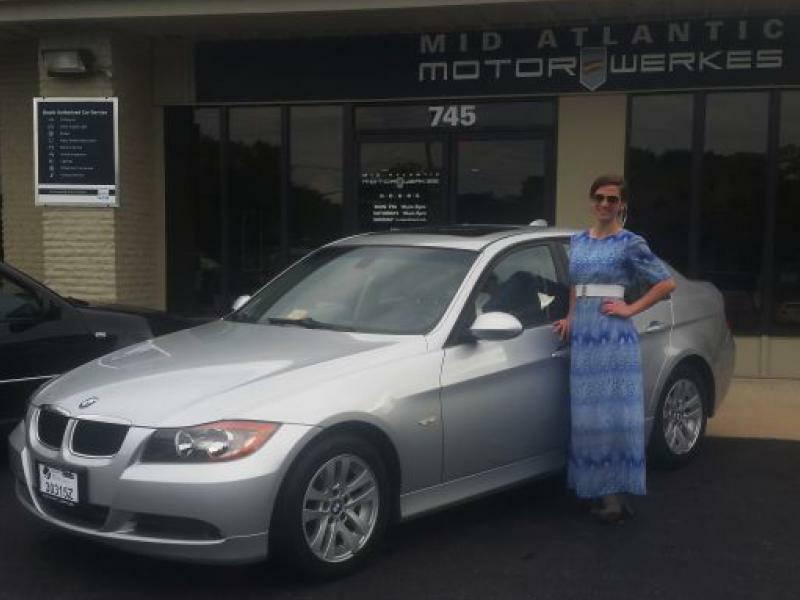 I went to the dealership, simply, to look at cars; I was definitively not thinking of buying. 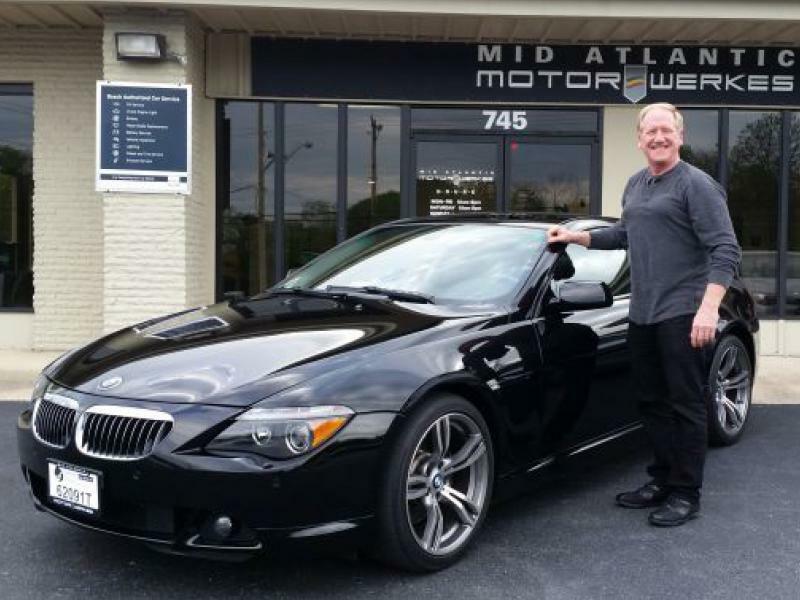 Suddenly, a 2008 M3, with low mileage, hard-top convertible, in black, came out of the detailing shop. It was love at first sight. There was no sticker price attached to the dream machine. Consequently, I asked what they wanted for the M3. The price I was offered was so good that no negotiation was needed, I simply accepted it. Gave a down payment, and two weeks later came back to close the deal. We only shook hands, at the time of the down payment. 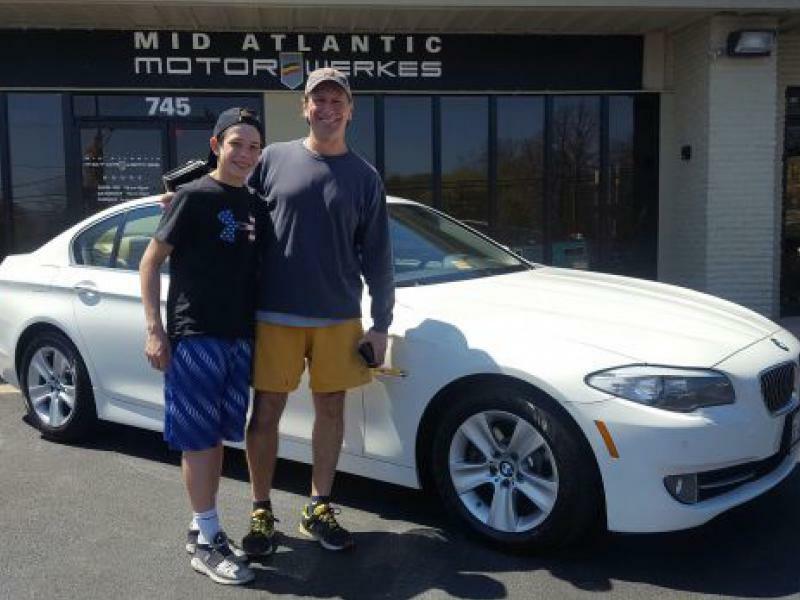 From the time we shook hands, until I was able to return to the dealership (we live in Maryland), over twenty people wanted the car. I am sure they could have gotten more money for it. But here is what I like about Motorwerkes’ values, a handshake and your word counts, and they deliver what they promise, on time. The paperwork took us 20 minutes, and I am a happy M3 owner. The car is simply awesome! 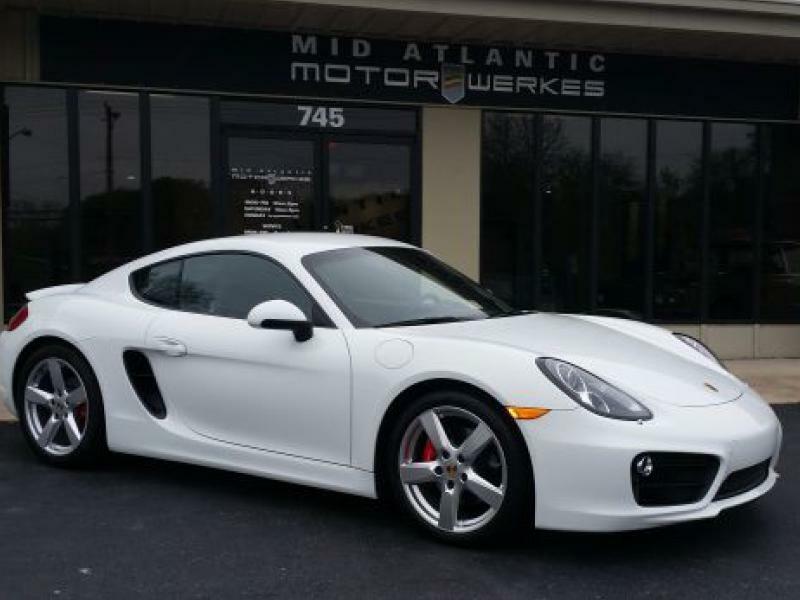 My recommendation; if you are thinking to buy a great car at an affordable and fair price, drive by Mid Atlantic Motorwerkes, check it out yourself. 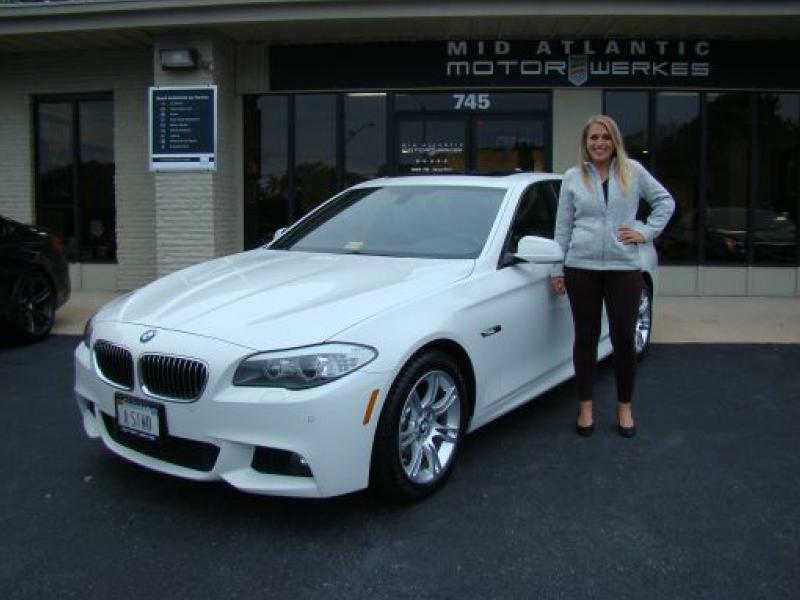 Thank you Mid Atlantic Motorwerkes! I will be back! Cheers." "After another great expierence with Mid Atlantic I have only good things to say. 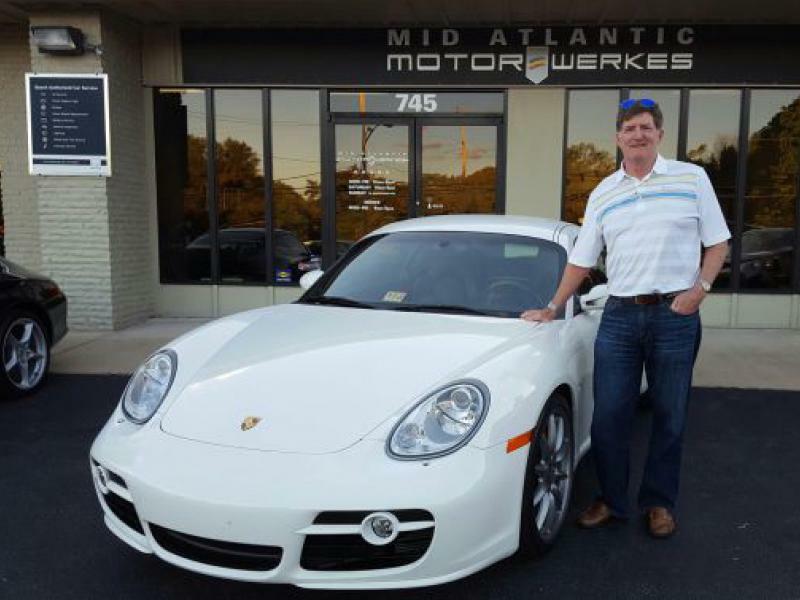 Greg and staff are a pleasure to do business with." Formerly owned by Greg Shaffer and upgraded w/ H&R suspension and AFE Scorcher kit boosting this particular M4 over 500hp. First off I have to say Midatlantic treats their customers like family. We have bought many cars from various places and this was by far the smoothest and most friendly place we have done business with. 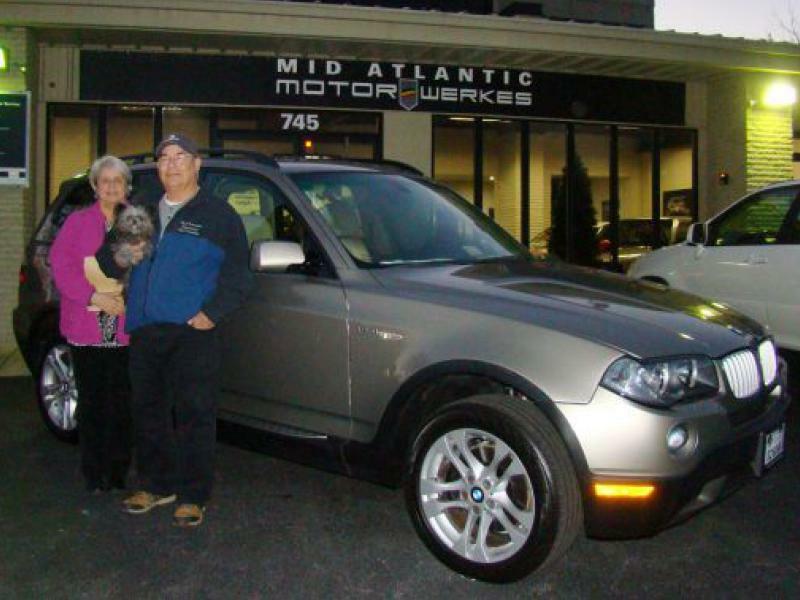 Looking forward to buying our next car from Greg again when we decide to replace our current X3. 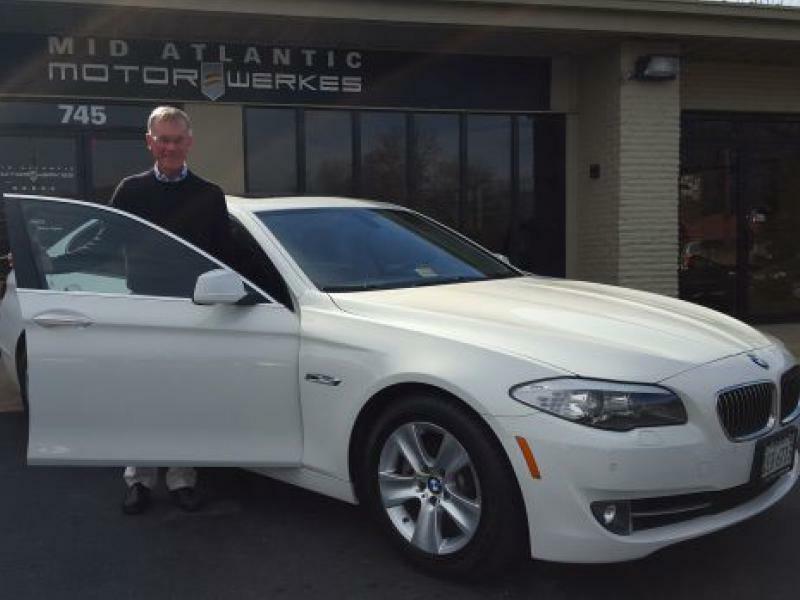 "I cannot say enough good things about my experience working with Greg at Mid Atlantic Motorwerkes. He was extremely patient, knowledgeable and my favorite: not at all pushy. It took weeks of me looking, debating and asking tons of questions for me to finally make my decision. At the end of the day, I made my decision because I felt like I was working with one of the most honest dealerships I could hope to find. Kudos to Greg on building quality relationships with his customers!" 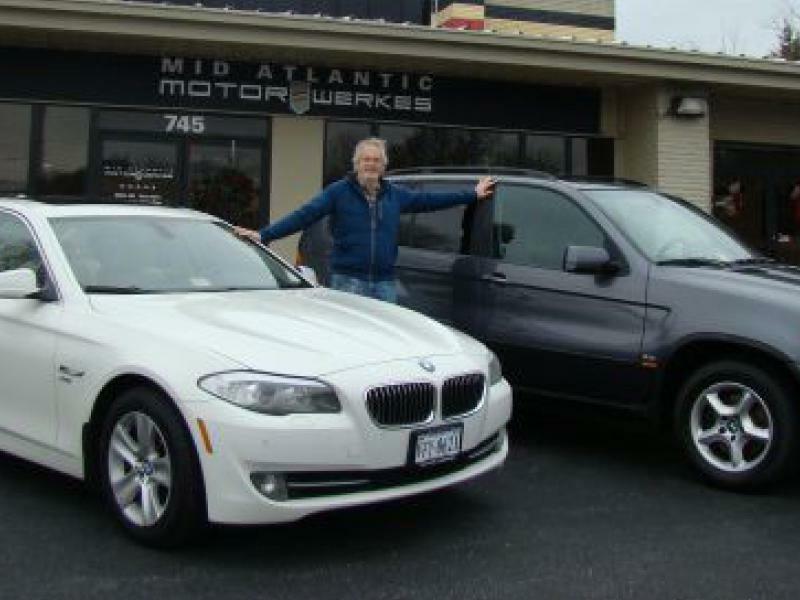 I am a repeat Mid Atlantic Motorwerkes customer for two reasons: great service and Greg Shaffer. 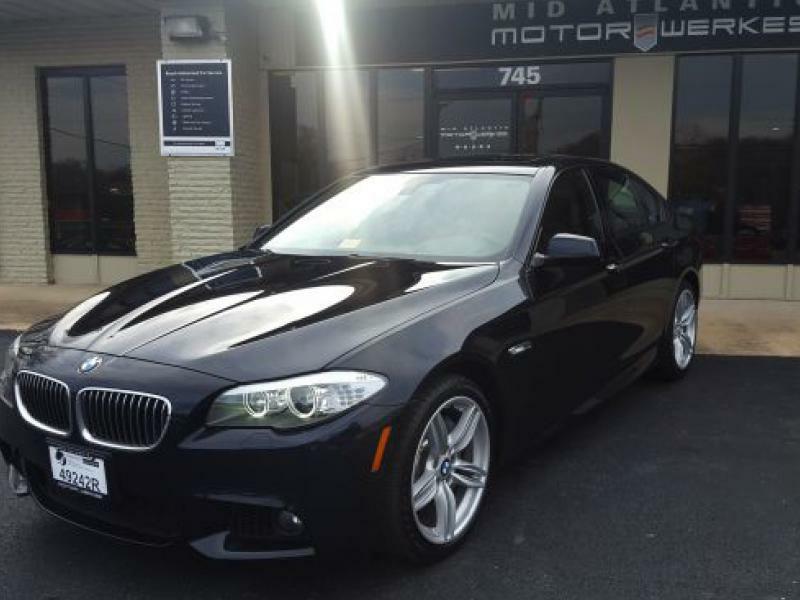 When I was looking to upgrade my 2011 535i, Greg sat down with me and carefully went over my specifications. Unfortunately, the car I wanted was not on the lot at that time. Greg assured me that he would find that vehicle. I was excited to get a call from Greg the next week, telling me that he had found my car. 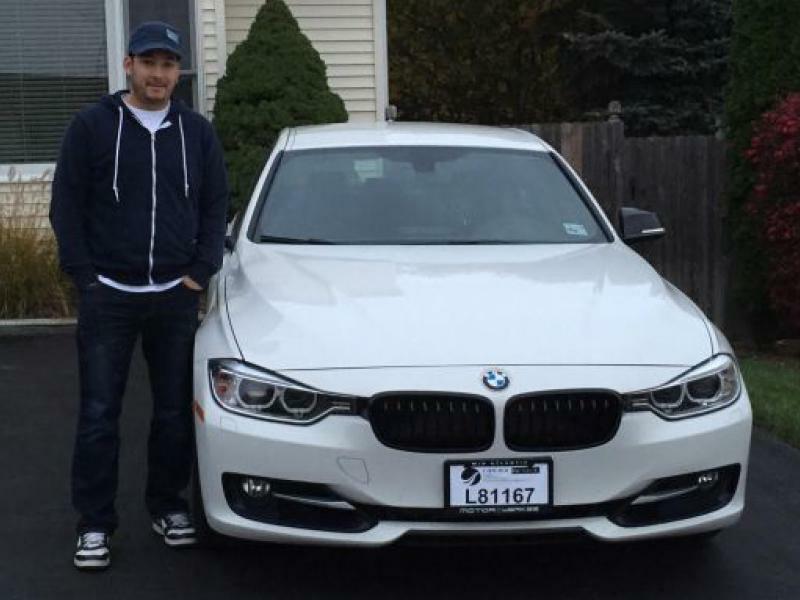 I am very happy with my 2014 535xi and would not hesitate to do business with MAM again. 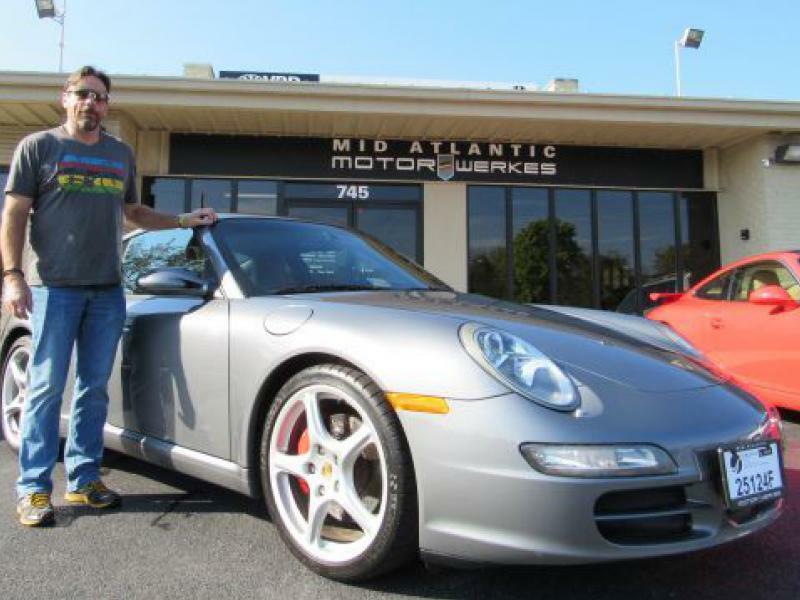 We had visited Mid Atlantic Motorwerkes on several occasions after hours looking at their inventory in the past. 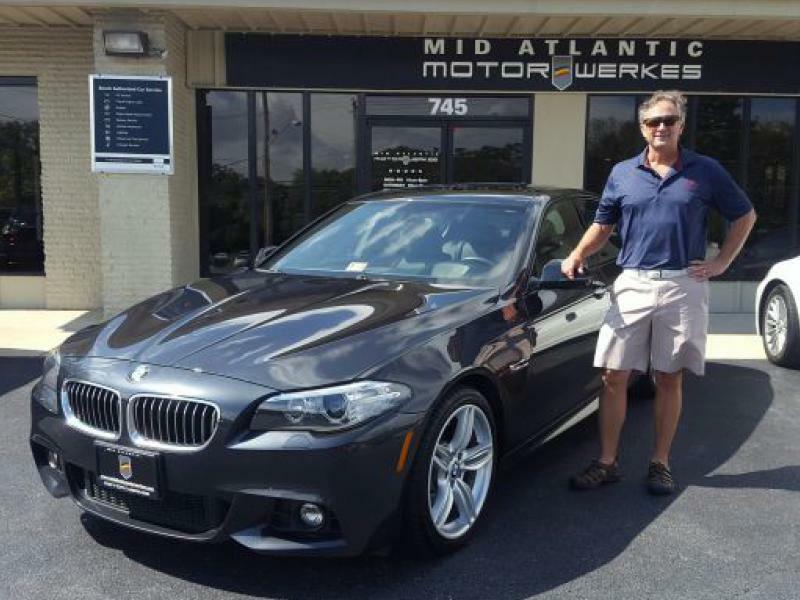 Just recently we spoke with Greg and his knowledge got us interested in BMW's. 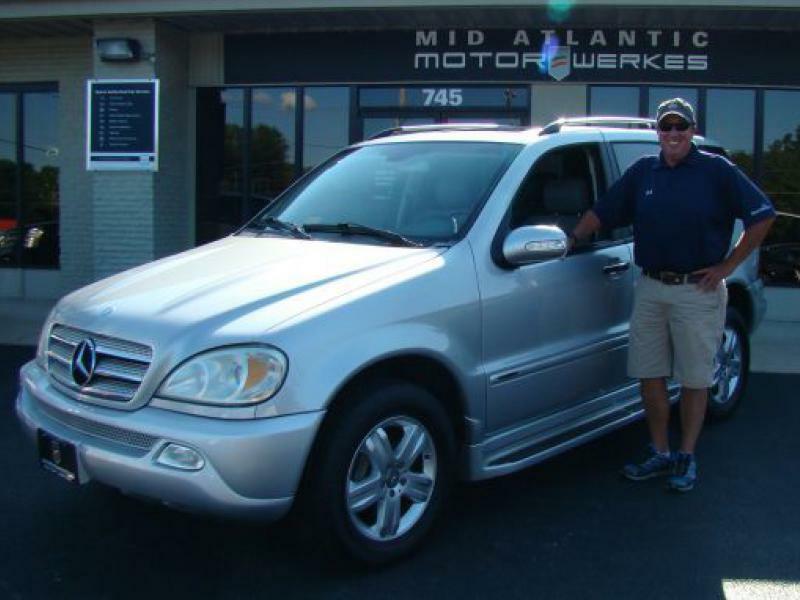 We have had a Mercedes Benz for the last 7 years. Greg took the time and effort to help direct us in our next purchase with no pressure. 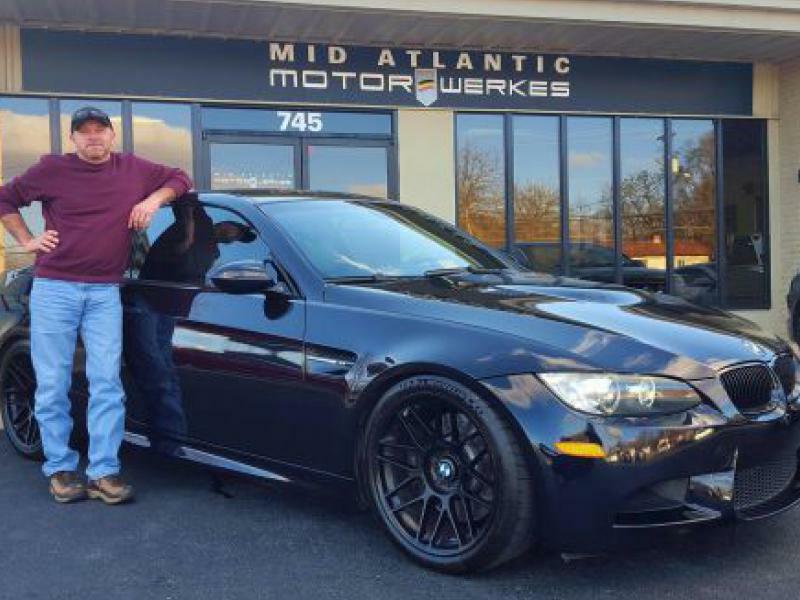 Very impressed with Greg, Jason and Dallas at Mid Atlantic Motorwerkes. Thank you for your first class attention to detail. 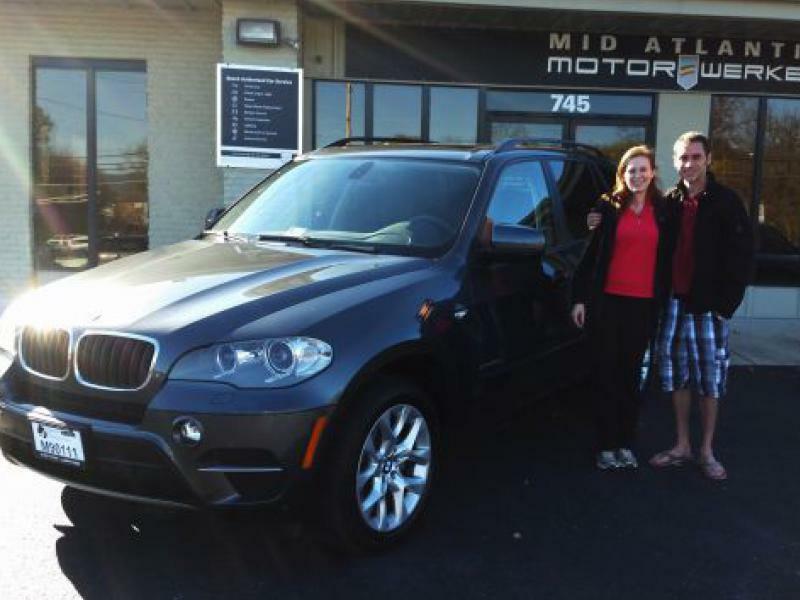 Very thankful for the tutorial you took time to help Janine and I with after purchasing our BMW X5. When looking for your next vehicle purchase, take time to start here!
" 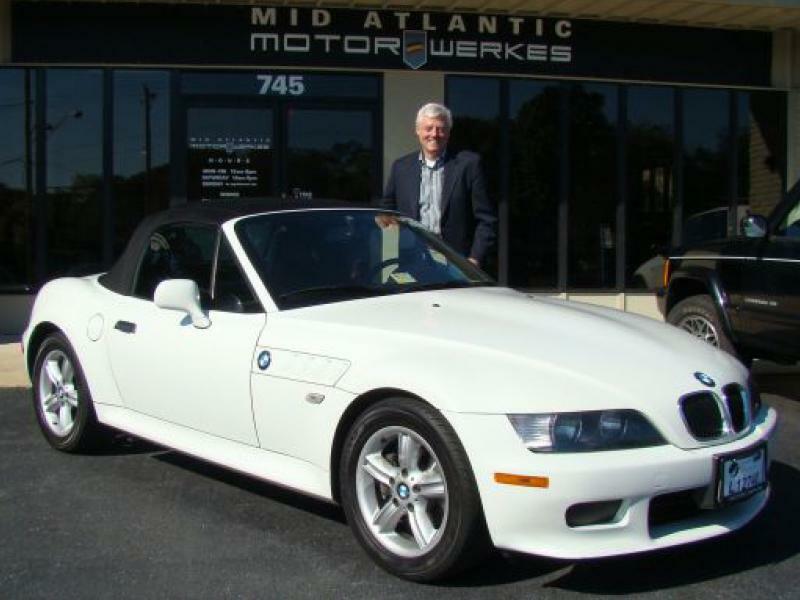 I came across Mid Atlantic Motorwerkes when I was doing some research on finding an older model Jaguar. I took a ride over an hour to check out the dealership and its inventory and took a car for a test drive. 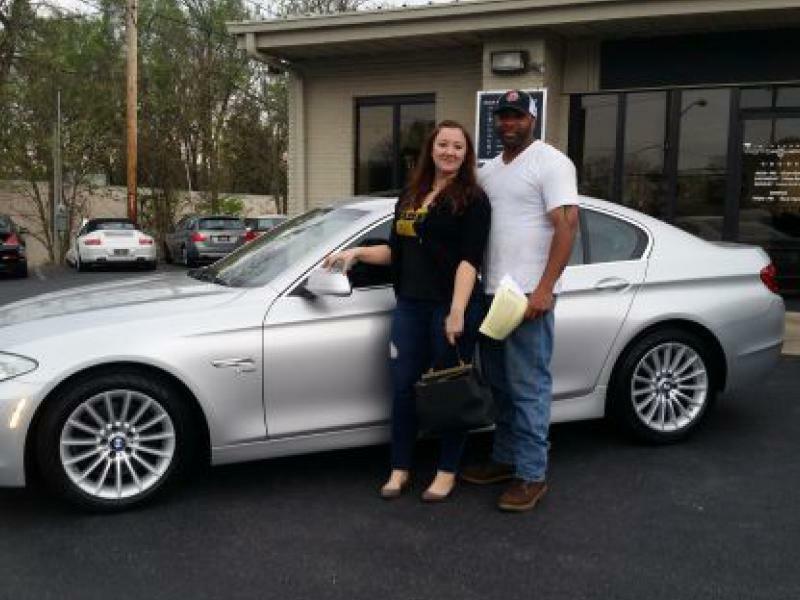 I did not purchase the car but when I left I knew I would be back because I loved the way that Greg,the owner, does business. No pressure sales, quality cars and great customer relations are hard to find but this dealership is a quality operation. I love my first purchase and there is no doubt I will be back. 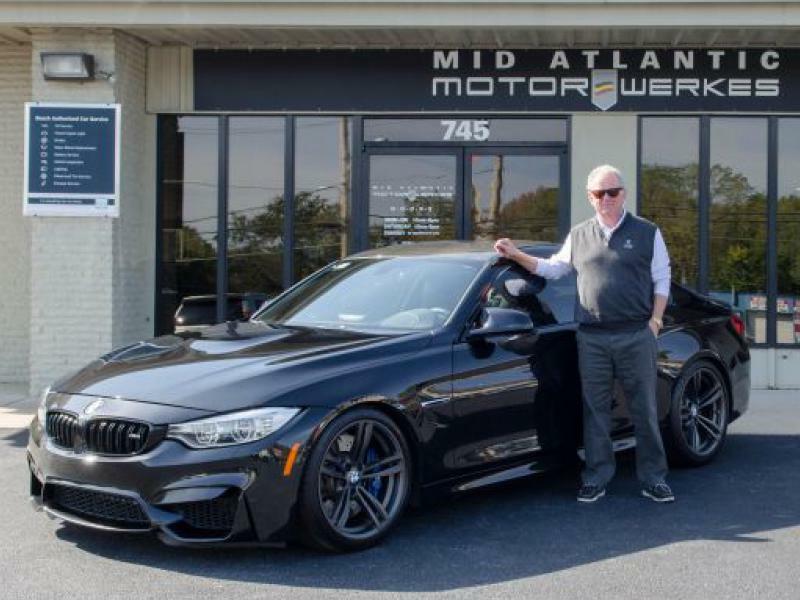 I check the website daily to see what new vehicles they have in stock"
2nd BMW purchase from Mid Atlantic Motorwerkes over the years. 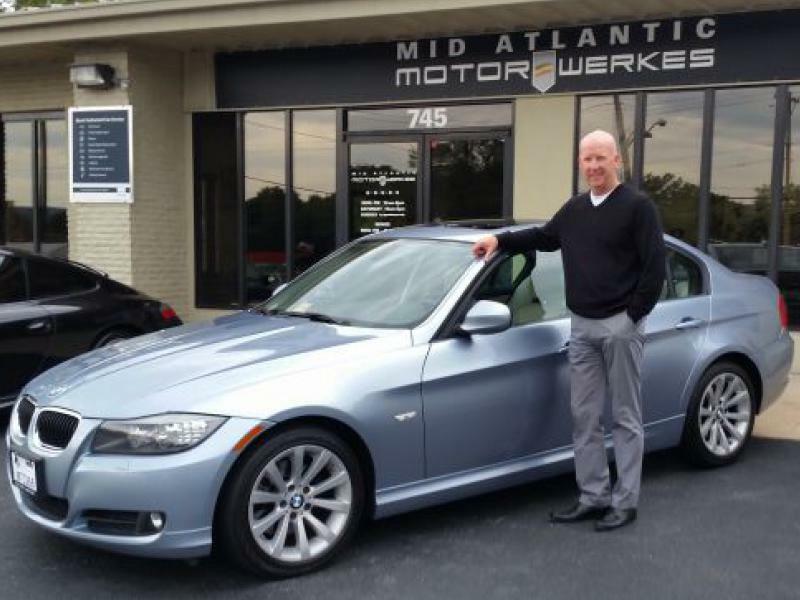 I want to Thank Greg Shaffer and the staff at MidAtlantic Motorwerkes . I recently purchased a 2013 Audi S7 from them. I am bit perfectionist when it come to my cars. I know what color what options and what drivetrain I want, before going into the purchasing of a new car. I gave Greg a comprehensive list on the car I wanted and he searched high and low to get the exact car I wanted. Not only did he deliver on the car, but he got it at an unbelievable price. 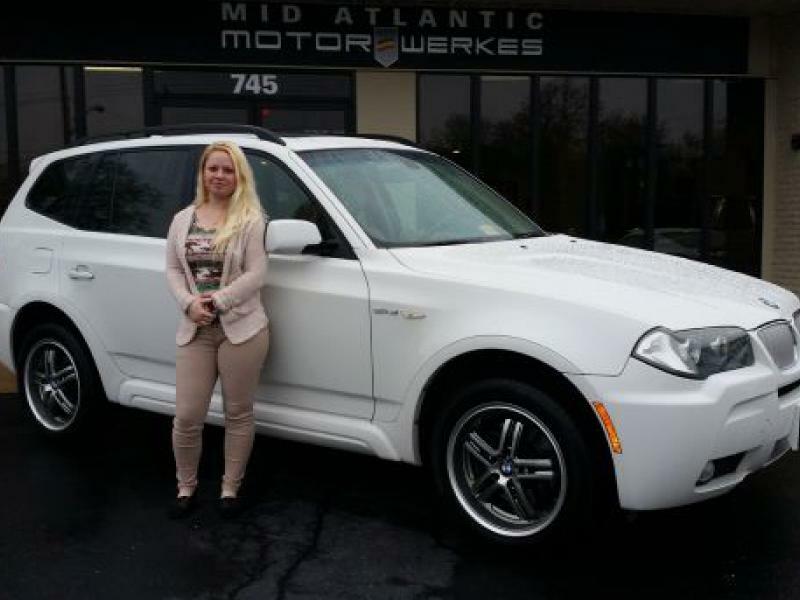 Mid Atlantic Motorwereks really does care about their customers and their needs. They will not try to sell you any more than you need and are up front and honest. They are extremely knowledgable in this arena of high end cars and SUV’s and have the techs on site to be able to fix any issues. Great company, Great experience, Highly recommend TEAM GS and MAM! 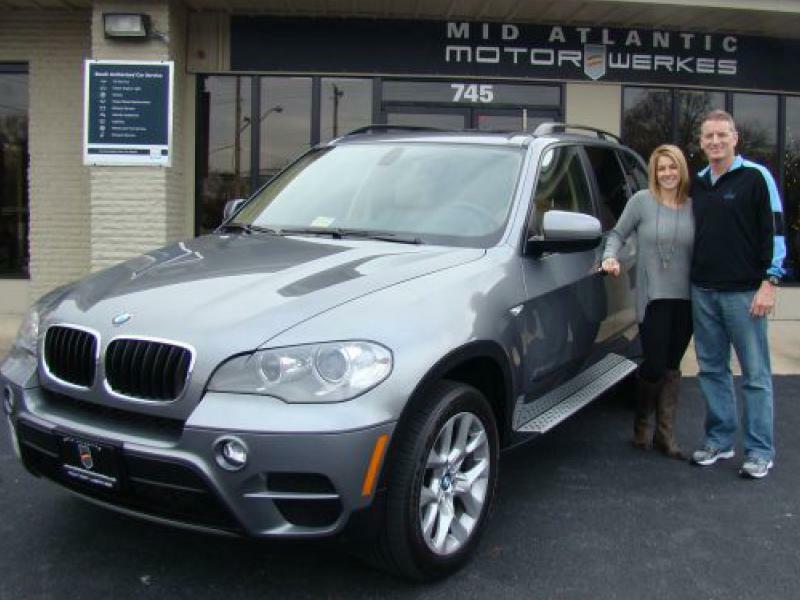 Kristen and Trace's 2nd vehicle purchase from Mid Atlantic Motorwerkes! 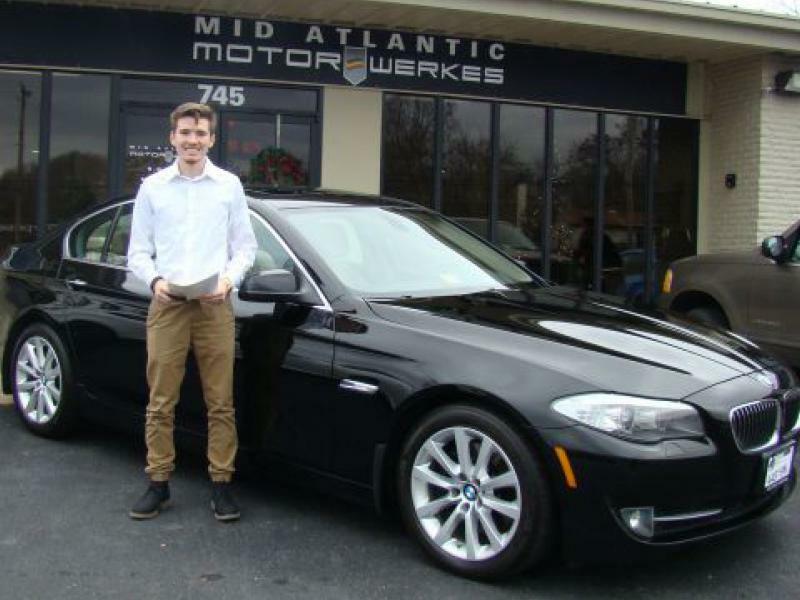 We had recently totaled out a similar BMW last month and when we contacted Mid Atlantic Motorwerkes about trying to replace/upgrade what we previously owned, Greg and Dallas were there to help us out! 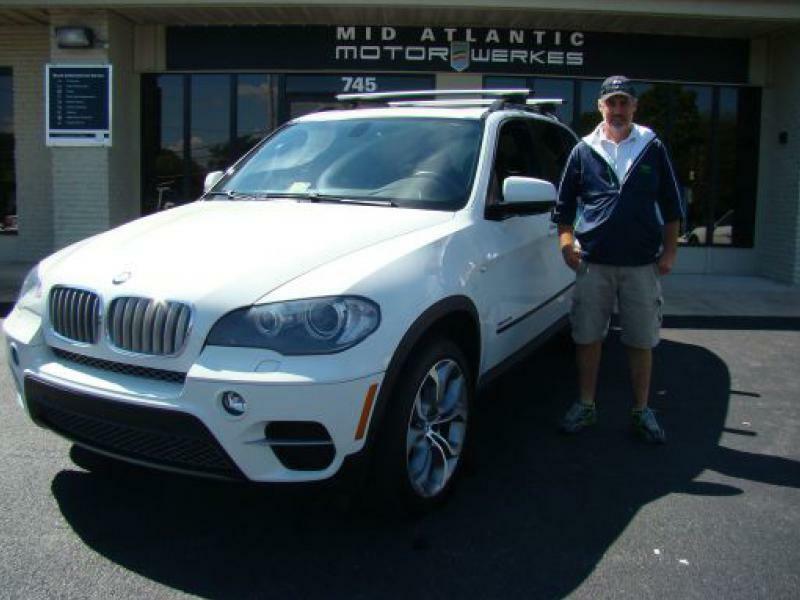 We already had a bank pre-approval in hand due to the accident with insurance and within about 48 hours we made this beautiful 2011 5 Series ours! These guys are so easy to work with and the cars on their lot are all in beautiful condition. Thanks for making this easy on our drive up from the Richmond, VA area and we'll be back again when we need another. 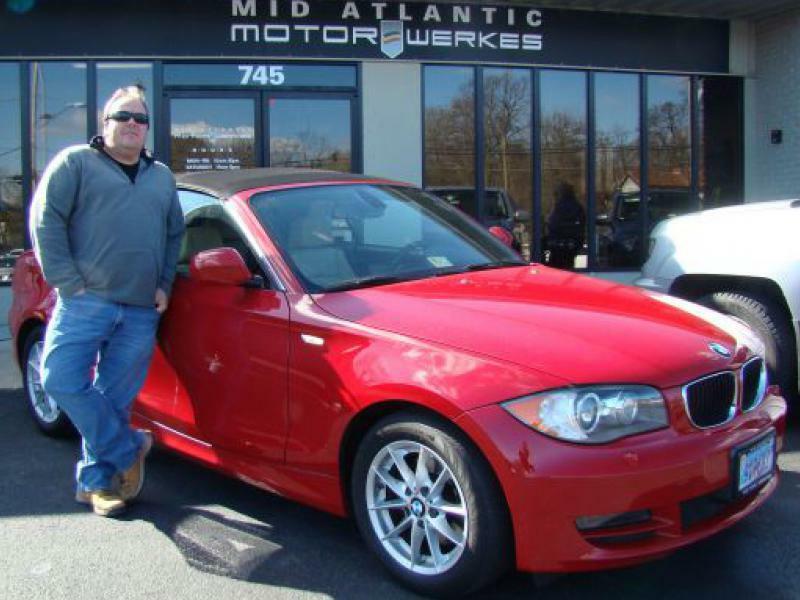 Visiting Mid Atlantic Motorwerkes only to browse, after a test drive, we are now the proud owners of a 2012 BMW 135i. 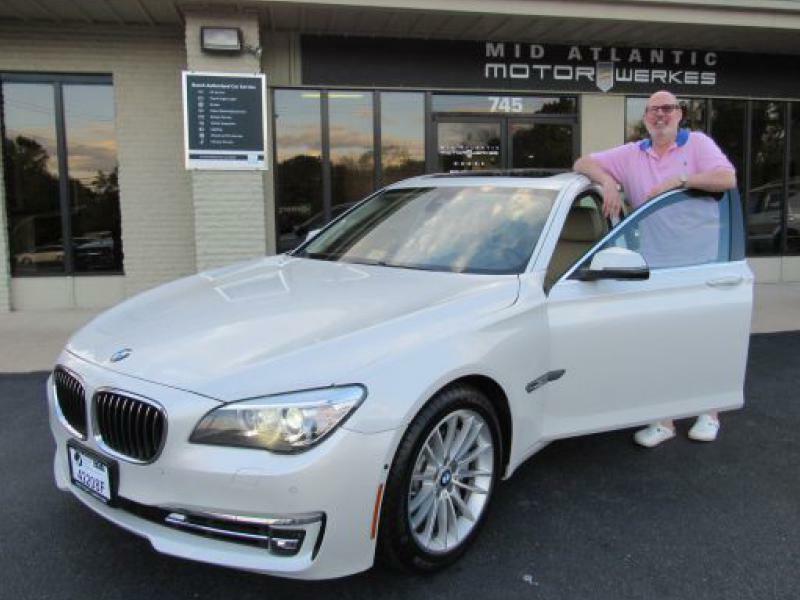 MAM's selection of quality, high-end cars speak for themselves, which allowed our sales associate, Greg Shaffer, to provide us a laid back enjoyable experience. Greg has tremendous knowledge of European cars. 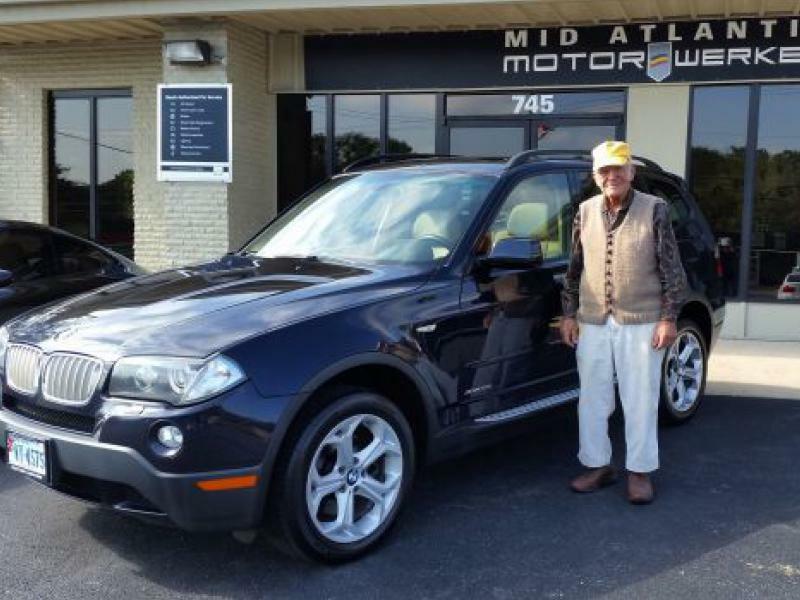 His passion and love for driving quality cars was contagious and it was evident that he wanted his customers to experience the same. Our entire buying experience was a pleasure. If you are a car enthusiast, you will not be disappointed. 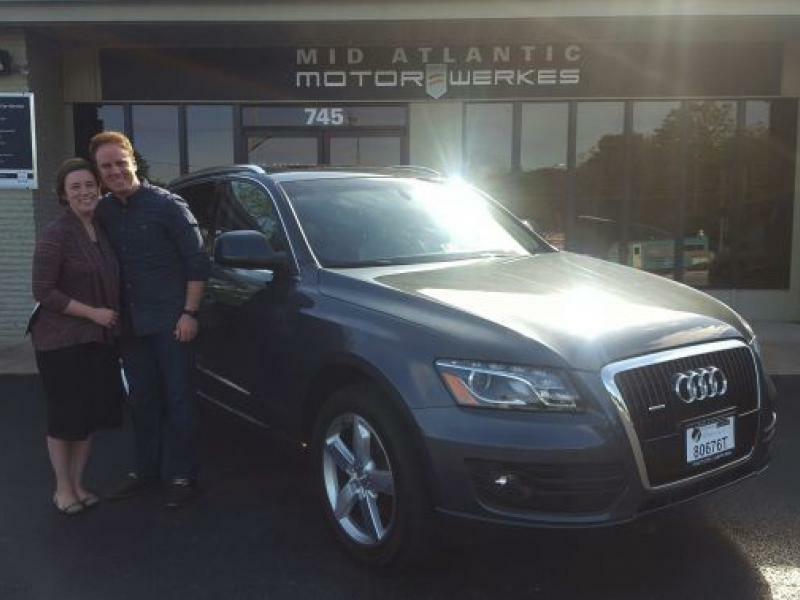 Thank you Greg, and all personnel at Mid Atlantic Motorwerkes! We will continue to send customers your way! 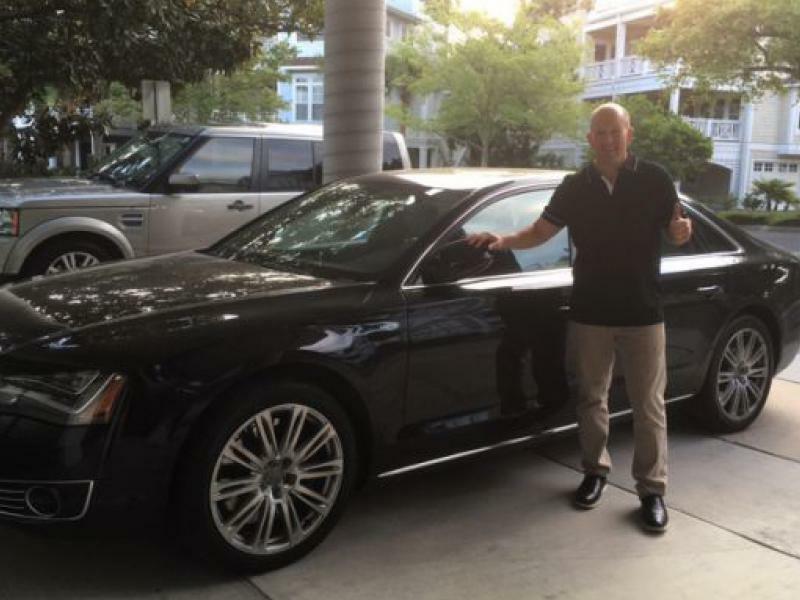 ...Rick and I would like to say "Thank you" to Greg and his team for everything.... you guys really put our minds to ease on purchasing our 1st luxury car. We really apperciated Greg's honest upfront approch. Greg even brought in his personal set of golf clubs to show us that they would fit in the trunk. 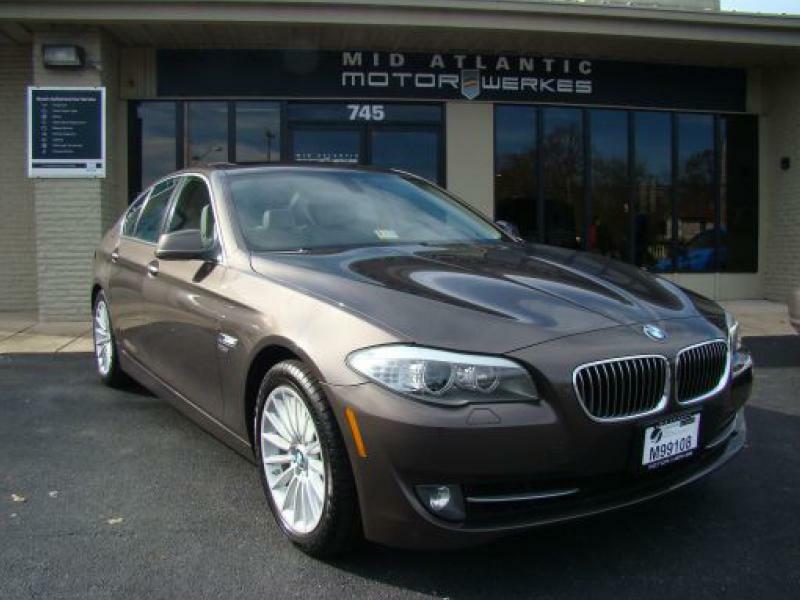 We would highly recommend MId Atlantic MotorWekes if you are in the market for a luxury car. Our entire buying experience was a pleasure. Thanks for a good deal and a great customer experience. I really appreciated Greg’s honest upfront approach and personable nature from our first conversation to the final road test. His experience and overall knowledge of the automotive world is in a class by itself. Dallas was a pleasure to deal with on the paperwork. 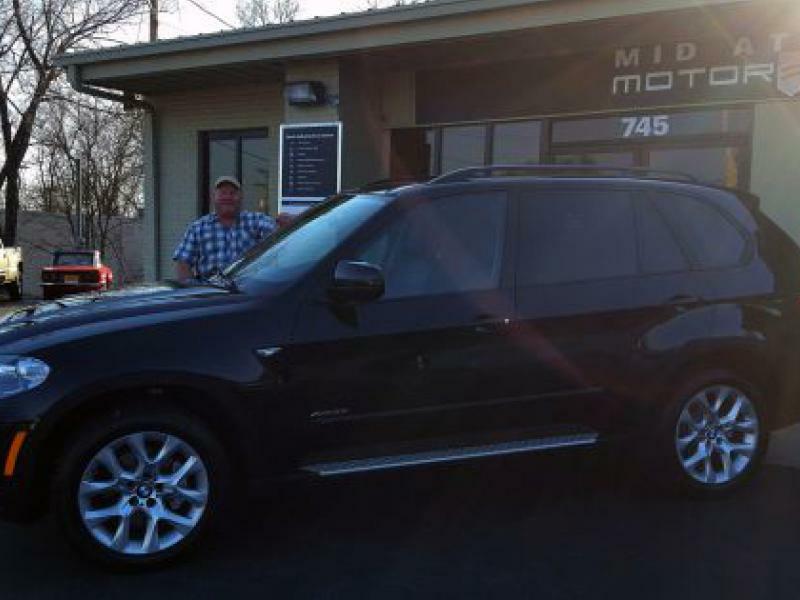 I would highly recommend allowing Greg and his team to fulfill your automotive needs. 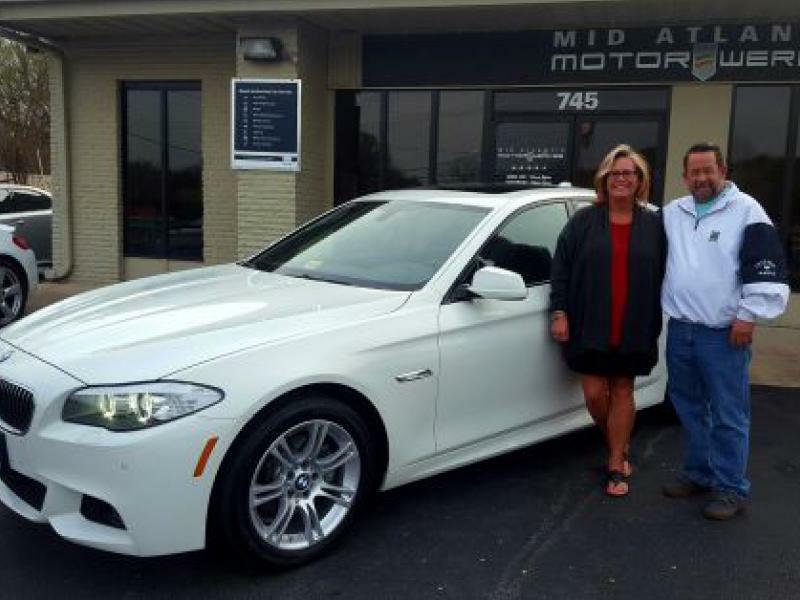 Really enjoy working with Greg and his team through the “car buying process”. He’s willing to research and locate the right car based on your needs, regardless if takes him two days or two months. Best of all, I truly appreciate his “no pressure” selling style. Will be back soon to purchase another vehicle for my 16 year old son. Where do I begin? 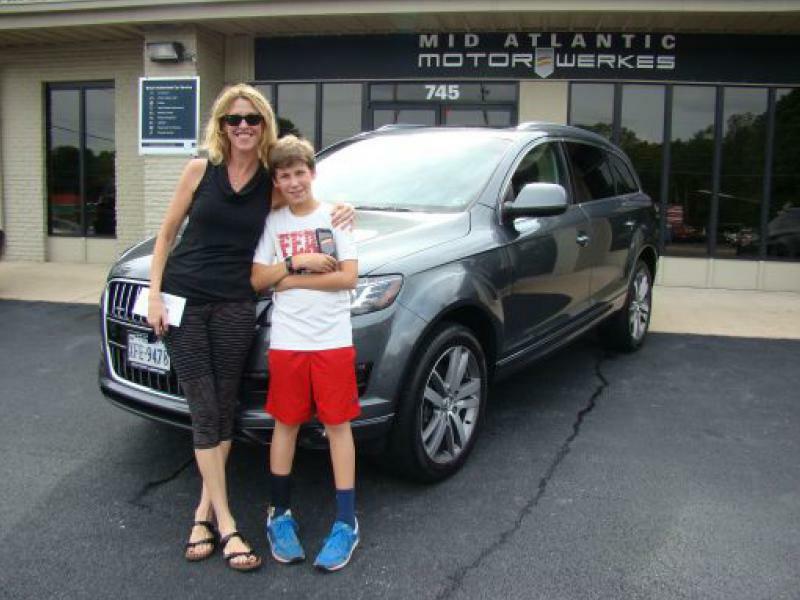 This is my second Audi purchase from Greg & Mid Atlantic Motor Werkes in the last 4 months. 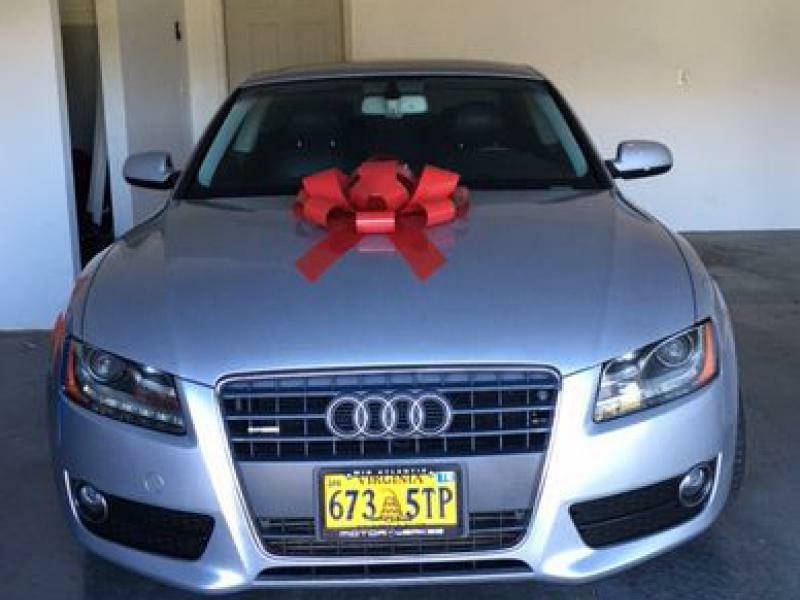 With my most recent purchase I was looking for an Audi A5 for my fiancé. I emailed Greg on Monday and by Saturday the car was parked in my garage to surprise her when she came home from work! Oh by the way, I did all this from half way around the world. I was traveling for business and Greg made everything happen like I was sitting right there at Mid Atlantic MotorWerkes. 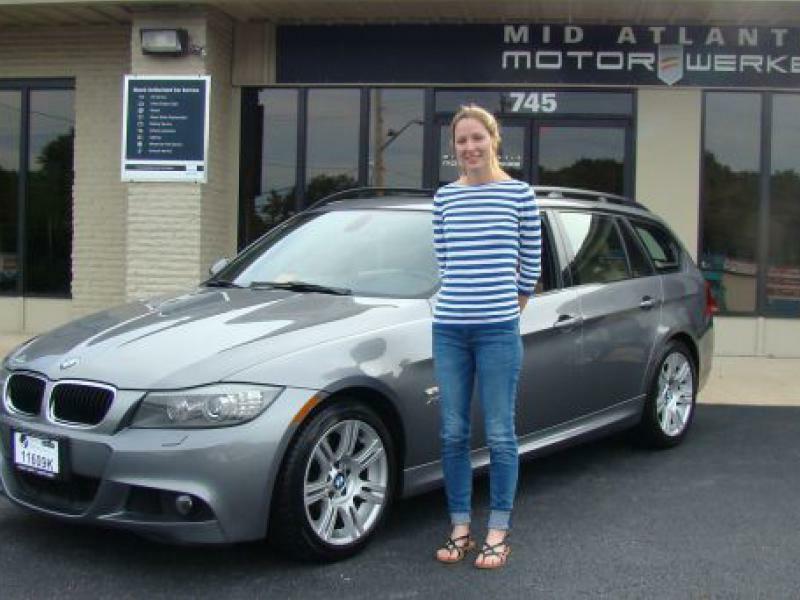 "I am so glad I went to Mid-Atlantic Motorwerkes to find my first German car! 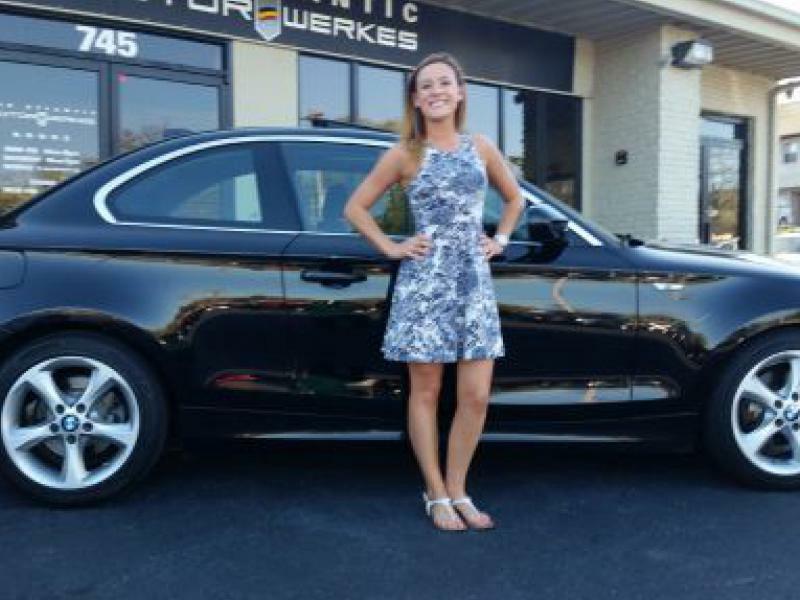 Dallas helped me find the perfect BMW for me and I am so grateful. I would definitely recommend them to anyone wanting an all-inclusive car buying experience--that is rare these days. Their extensive knowledge, eye for quality, and attention to detail are all reasons I would buy from them again!" 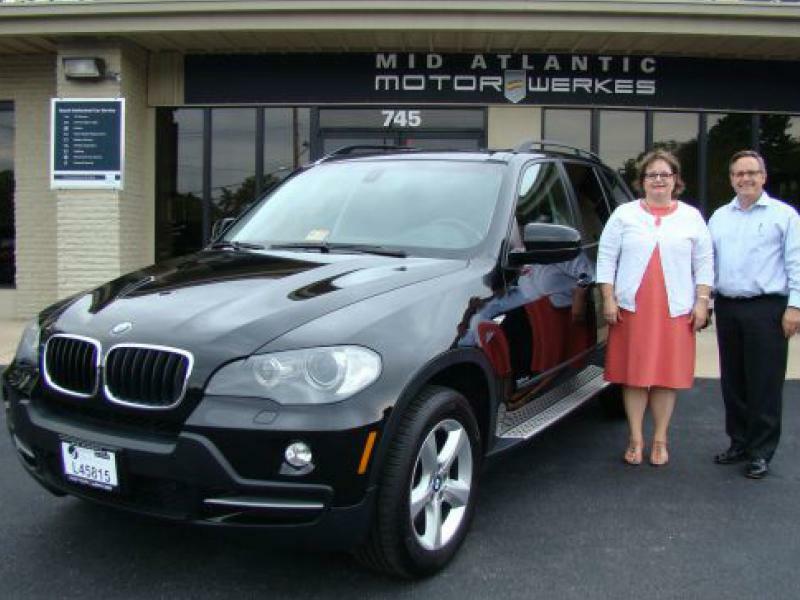 The entire team at Mid Atlantic Motor Werkes were great to work with! Absolutely no pressure at all. Greg was very quick to respond to email which made it much easier considering my busy schedule. I cannot say enough about Greg's knowledge (and his team) as well as his professionalism throughout the entire process. I will most definitely be a repeat customer in the future! For me, I was looking for a car that would provide comfort due to chronic neck and back pain. From the moment I sat in the 528i I realized I could do something I haven't been able to do in several years now--travel in a car for more than 2 hours!! My new car has given me a piece of life back that has been missing for some time. I can now ride for more than 2 hours as the 528i is the most comfortable car I've ever sat in! Let alone driven! I highly recommend this type of car for anyone who, like me, has chronic neck and back pain. 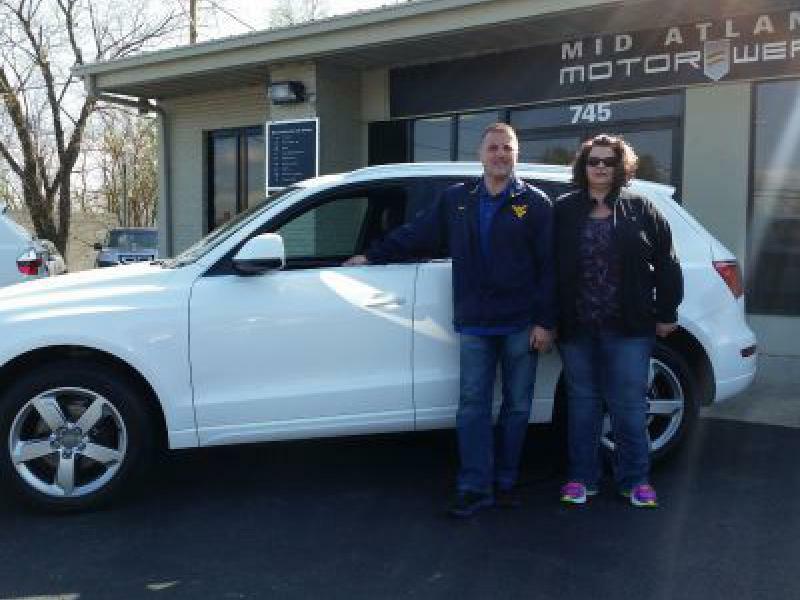 "I had been driving hand-me-down cars since I got my license and was ready to buy my first vehcile. 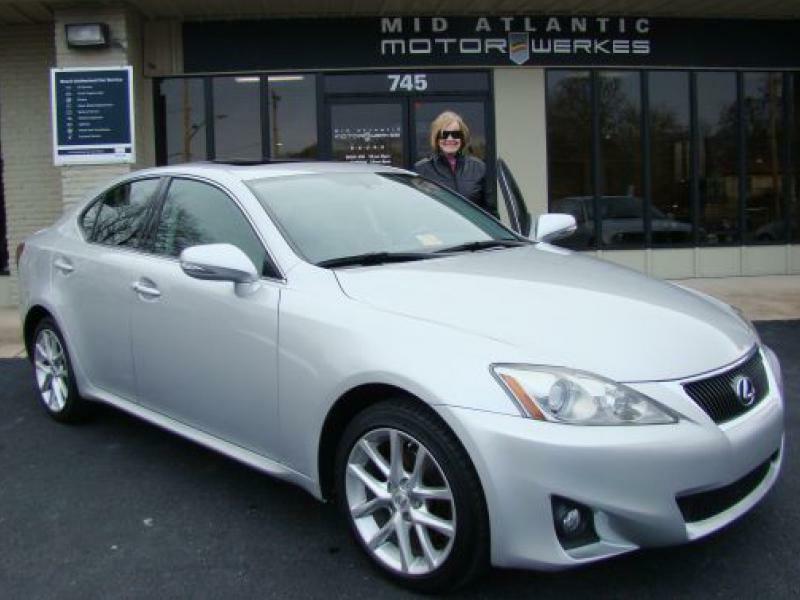 I contacted Greg at Mid Atlantic MotorWerkes and sent over a list of what features I was looking for. 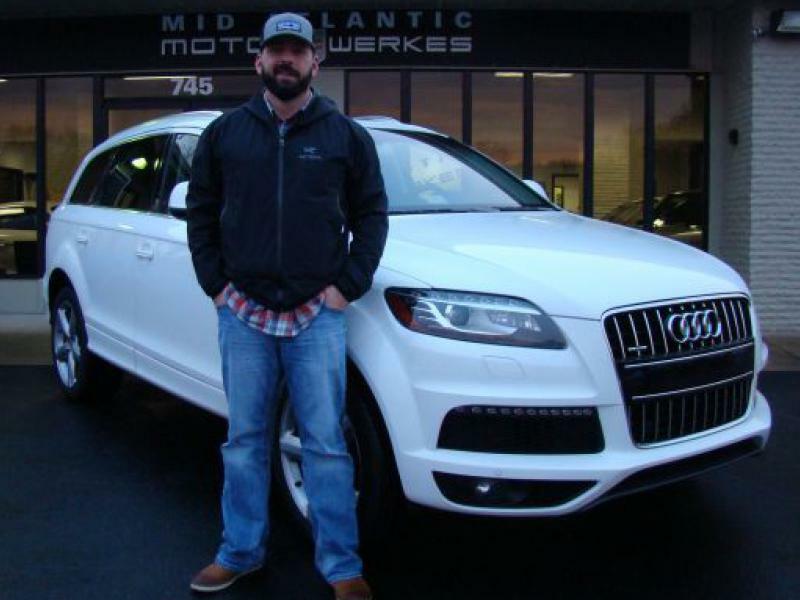 Greg promptly responded with the description of an Audi Q5 that he had in stock. I had a list of questions about cost of maintenance, fuel efficiency, safety, and comparison to similar vehicles by other manufacturers. 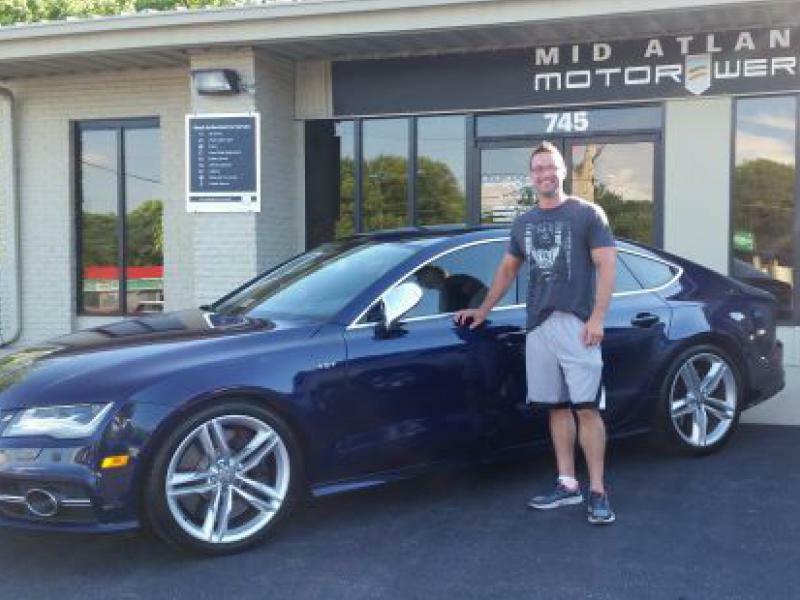 Greg answered all of my questions, and it was clear that he was striving to find the best car for me not just trying to make a sale. 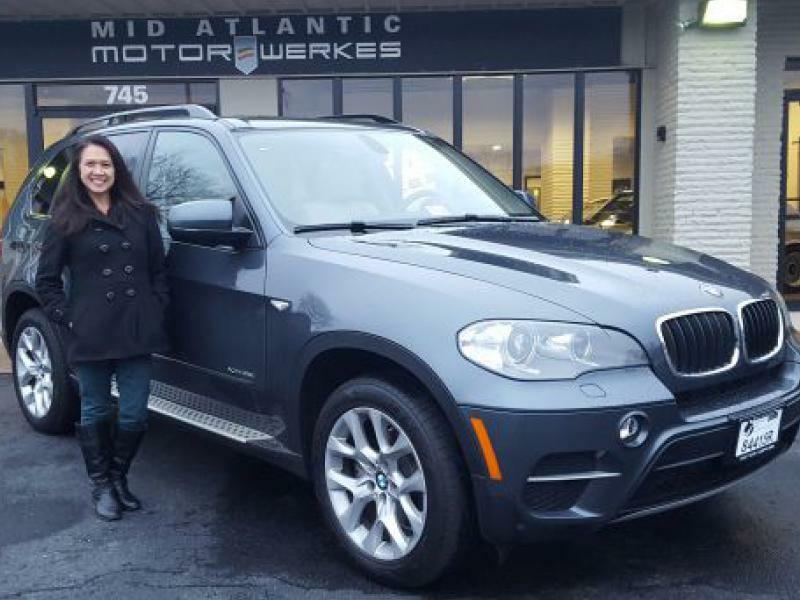 Mid Atlantic MotorWerkes made my first car buying experience very smooth and enjoyable. 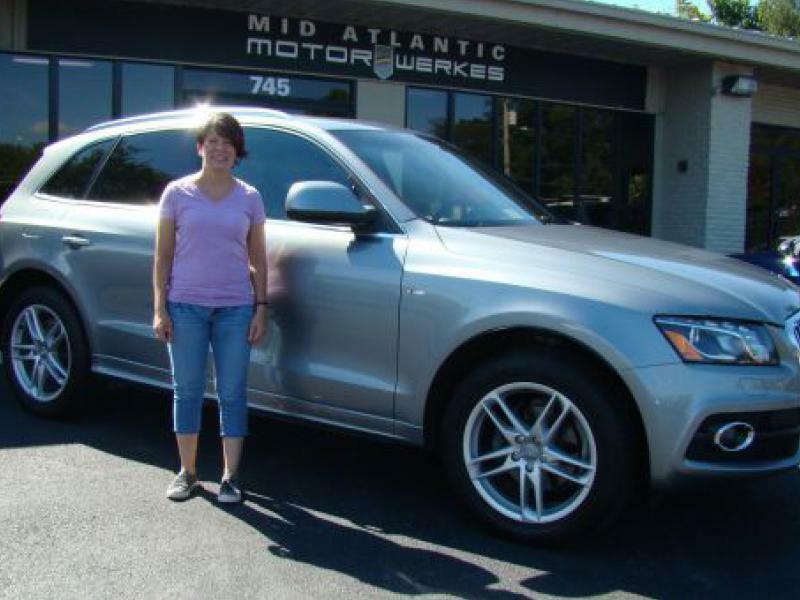 I was able to drive the Q5 off the lot the same day that I decided to buy it. I hit the road for a 5 hour trip that I make frequently. 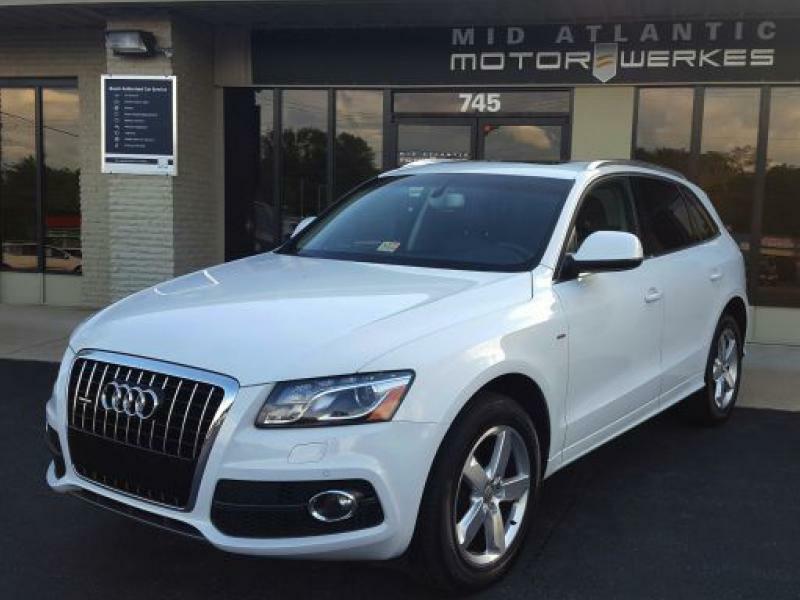 The ride was incredibly smooth, and the cohesion between myself and the Q5 was unlike anything I had experienced before. 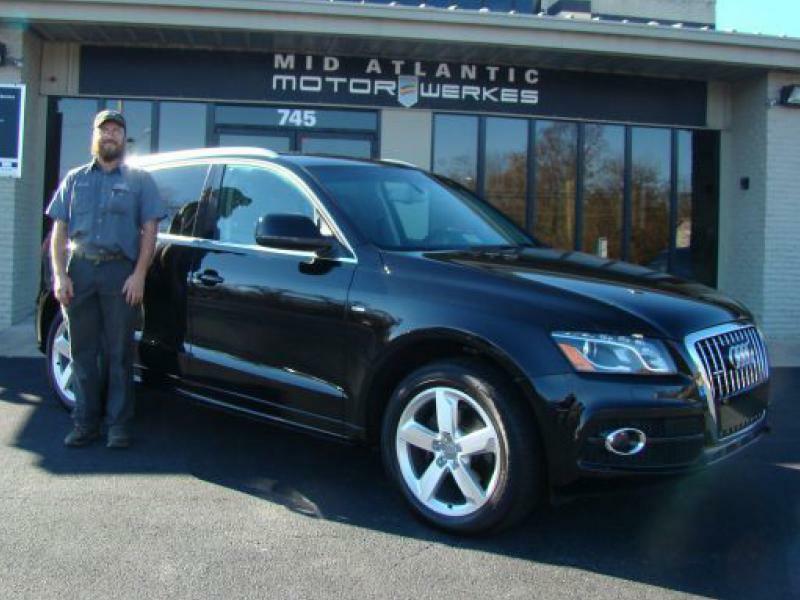 I am very happy with my purchase and recommend Mid Atlantic Motor Werkes to anyone who is looking for a new vehicle." 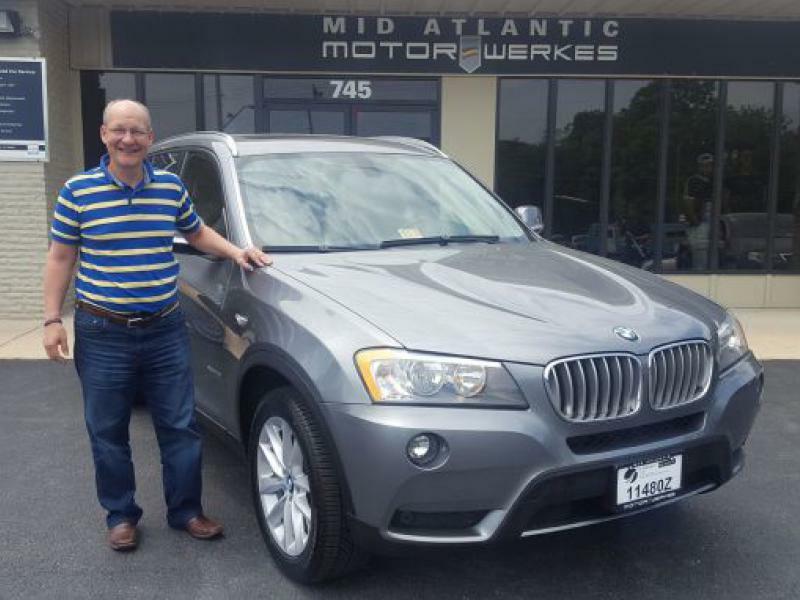 Thanks for Randy and wife for over 10+ years of continued business of sales and service at Motorwerkes! 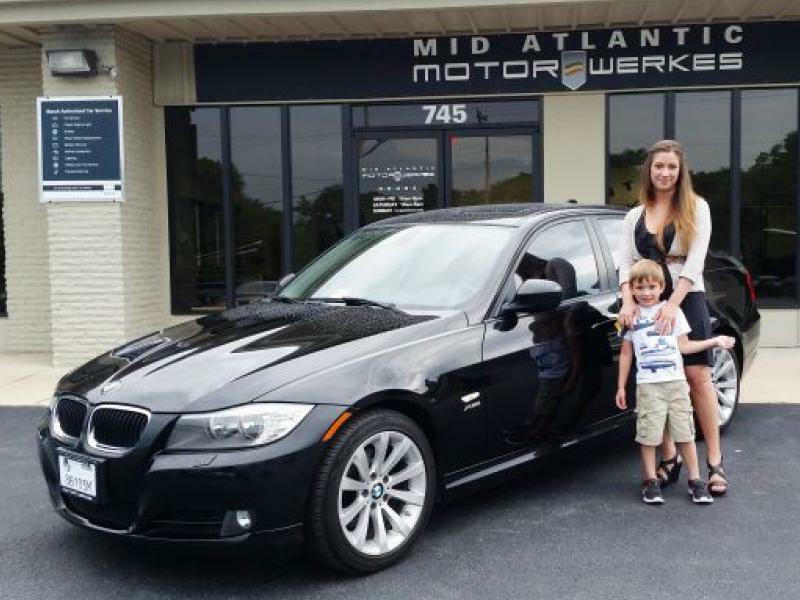 Enjoy your 330xi Sport! Wonderful experience today! Right car, right price, right service. John Hall owns Camp Horizons. 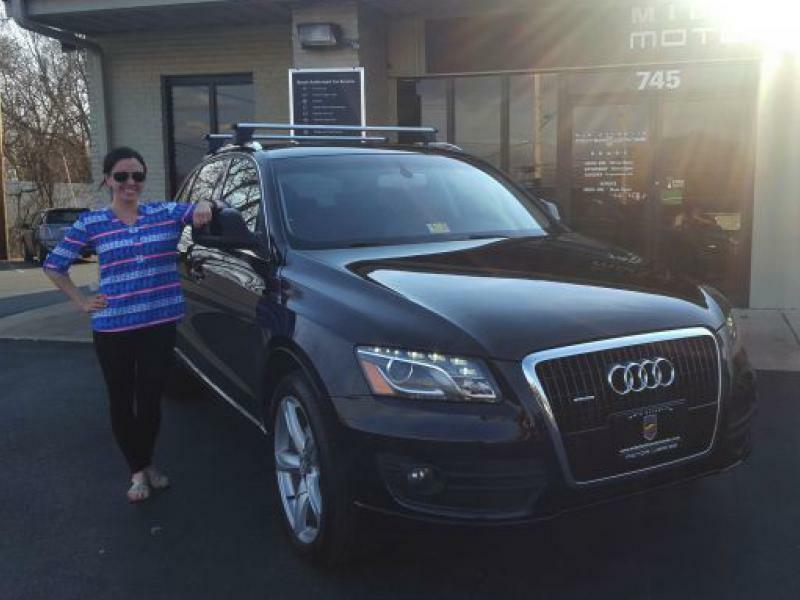 Congrats on your purchase from Mid Atlantic Motorwerkes! 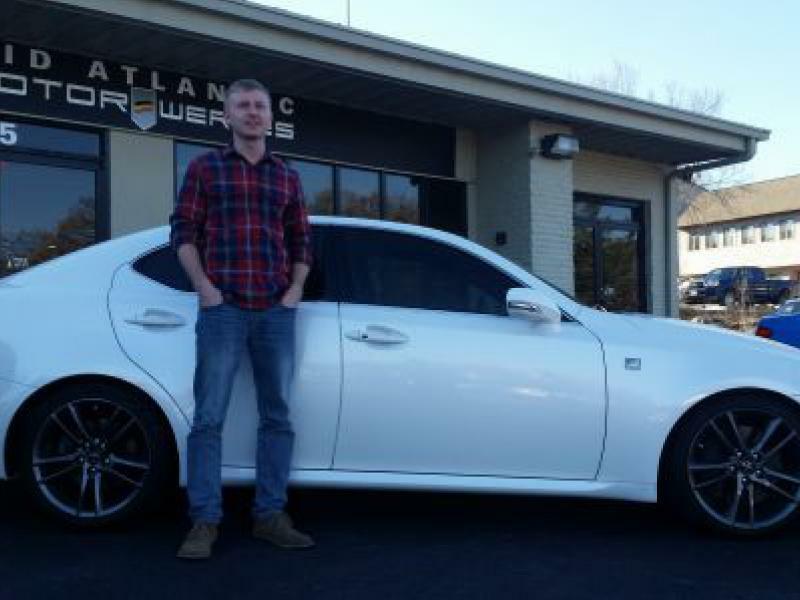 This is Andrew Forward's 3rd vehicle purchase from Mid Atlantic Motorwerkes over the years!! 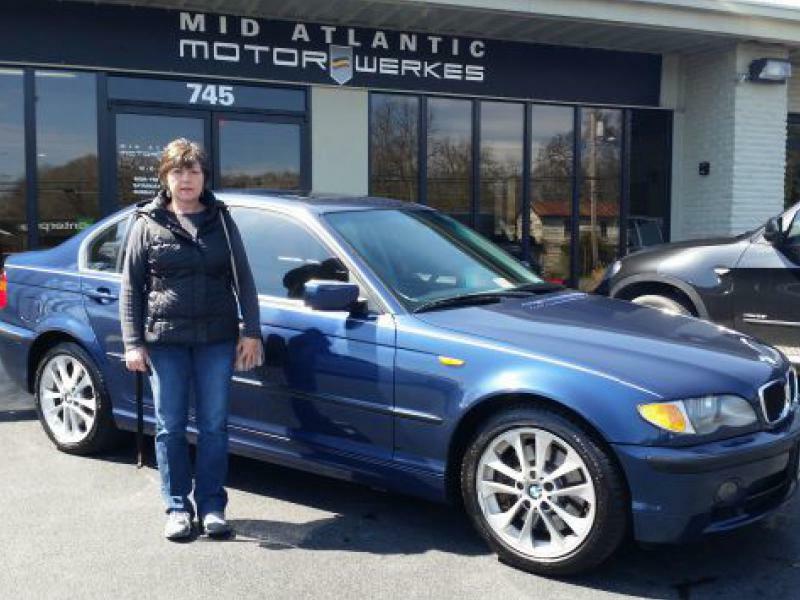 This is Mensel's 4th BMW purchase from Mid Atlantic Motorwerkes over the past 13+ years!! 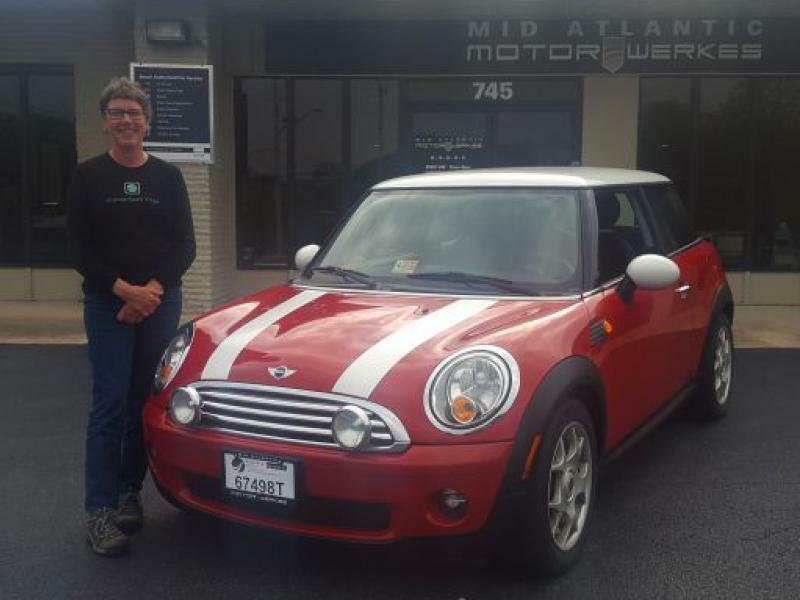 This is the Wright's 3rd vehicle purchase from Mid Atlantic Motorwerkes over the years. 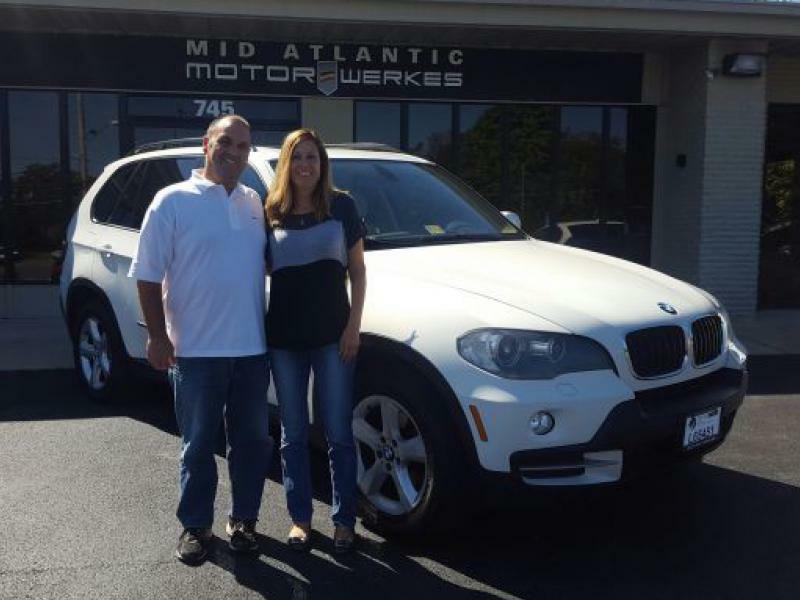 “When we first visited Mid Atlantic Motorwerkes, we were not 100% sure of which vehicle we wanted but Greg and his team made our buying experience amazingly easy. 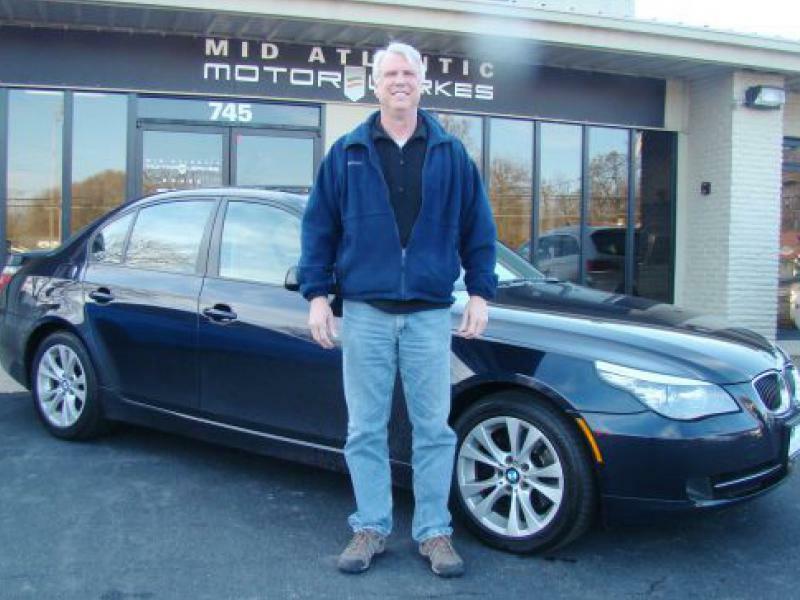 Greg’s high intellect, low pressure approach allowed us the opportunity drive a number of vehicles and make a well informed decision about the vehicle that best fit our need. 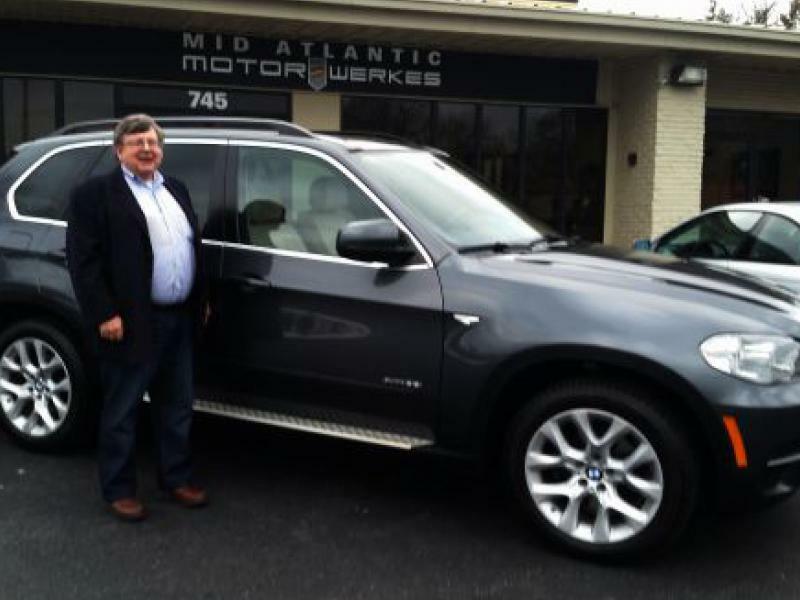 When we chose the BMW X5, we provided Greg with the specs and he found the car we wanted at the price we needed. It was that simple and straightforward. 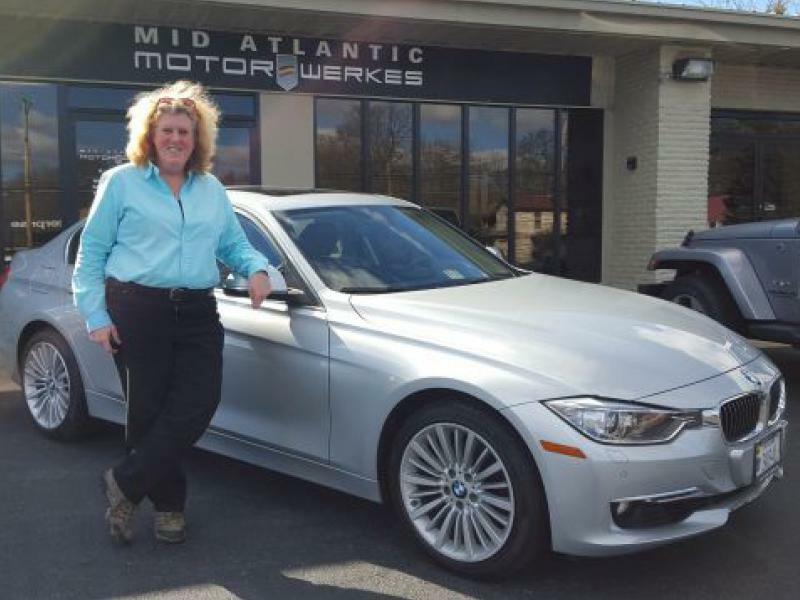 The fact that Mid Atlantic Motorwerkes has certified BMW mechanics on site sealed the deal. My wife & I recently decided to replace both of our rear wheel drive vehicles - a Mercedes C250 & a Nissan 350Z roadster. We had heard good things from a neighbor about Mid-Atlantic and decided to include them in our shopping. We are so glad we did! The entire staff is extremely friendly and I already knew their mechanics are superb. 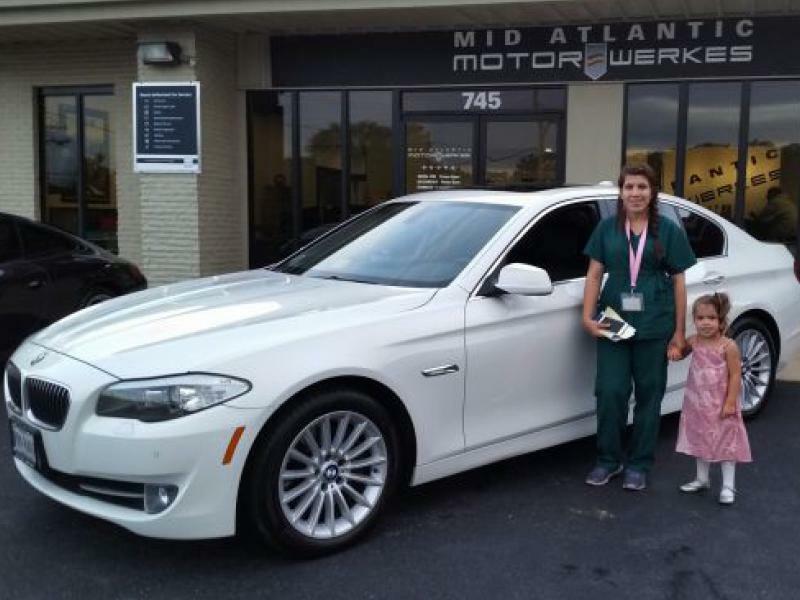 The entire buying experience from looking to test driving to choosing to doing the paperwork was very pleasant and never were any pressure tactics employed to buy. 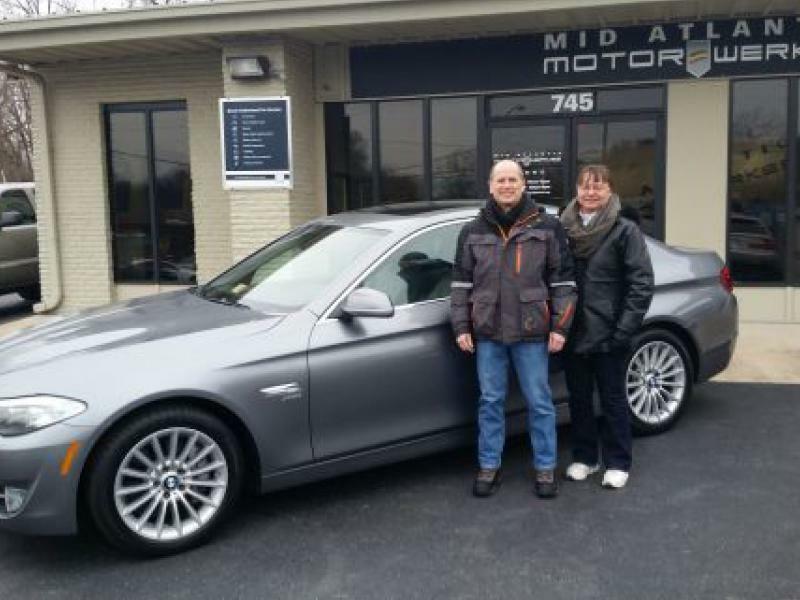 They helped us choose a great 528I sedan and an X5 - both AWD and both with very clean histories - after extolling the virtues of BMW. 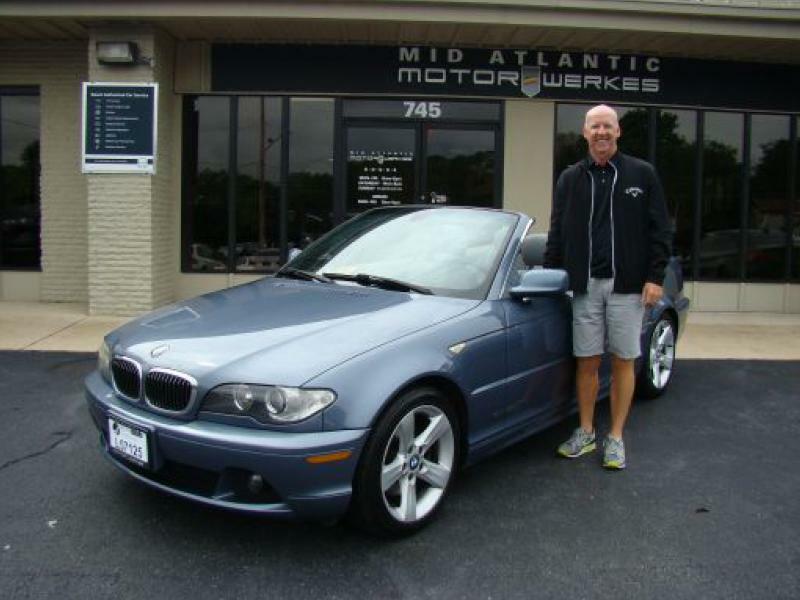 we are 100% satisfied and highly recommend Mid-Atlantic to anyone looking for a great prior owned European car. 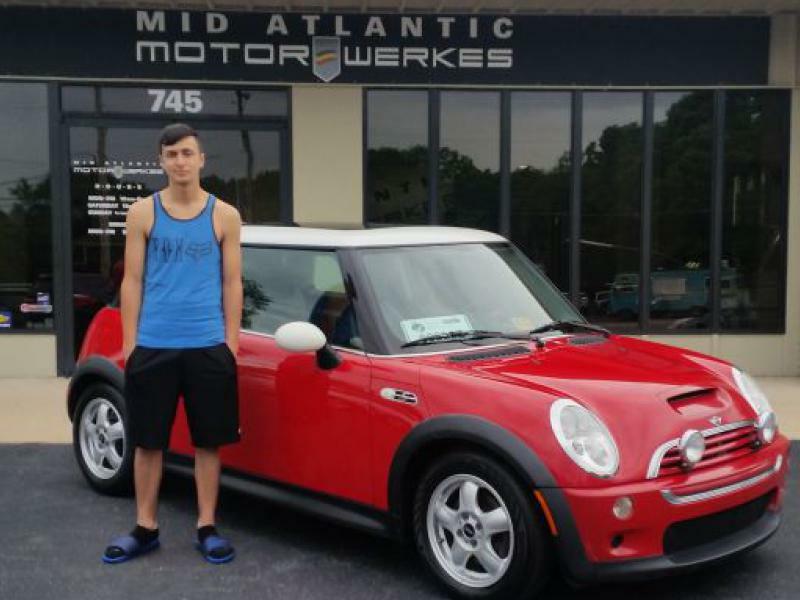 Thank you Mid Atlantic Motorwerkes. 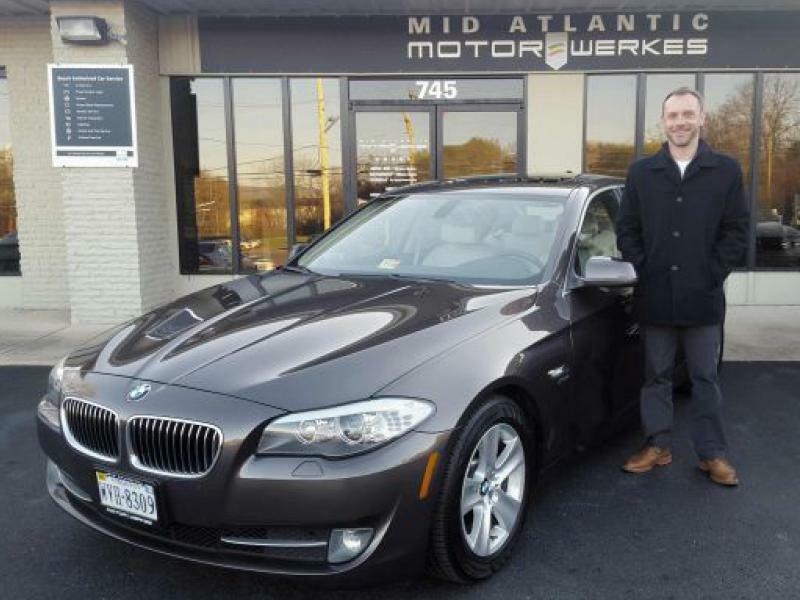 After two months of searching for a pre-owned luxury vehicle, I was introduced to Mid Atlantic Motorwerkes (MAM) through the Autotrader website, which led to one of the most pleasant and easiest vehicle purchase experiences that I have ever encountered. 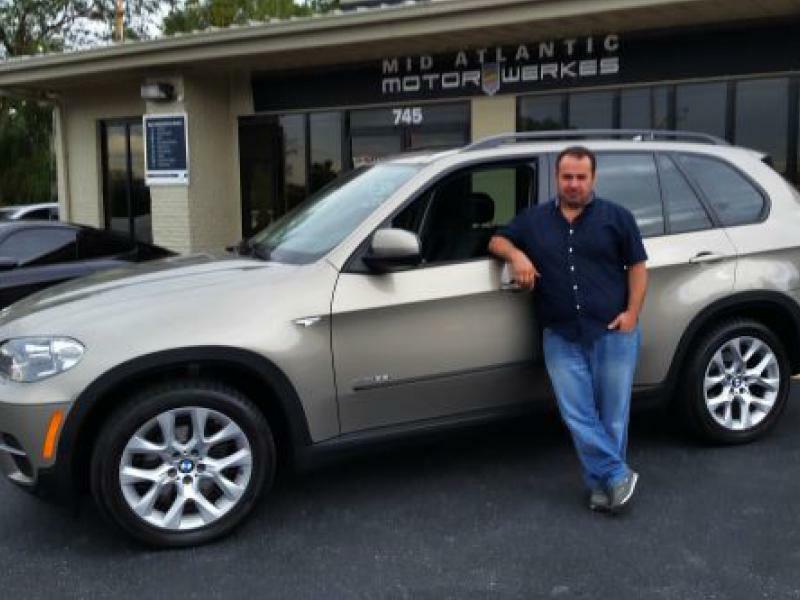 The first indication that this would be a positively different experience was when the dealership owner himself, Greg Shaffer, contacted me personally and was willing to answer my extensive list of questions regarding the vehicle. Our initial discussion lasted longer than thirty minutes, as I navigated through rush hour traffic in the Washington, DC metropolitan area. Greg was pleasant, informative, and candid about the vehicle. He even went as far as to send me a few additional pictures of the vehicle that were not listed on the website. After two discussions with Greg, I was convinced that I wanted the vehicle and that I wanted to make the purchase from MAM. I took the two and a half hour trip to the dealership in Harrisonburg and was pleasantly surprised to find the vehicle detailed, tagged, and parked in the delivery area ready for me to make the purchase upon arrival. 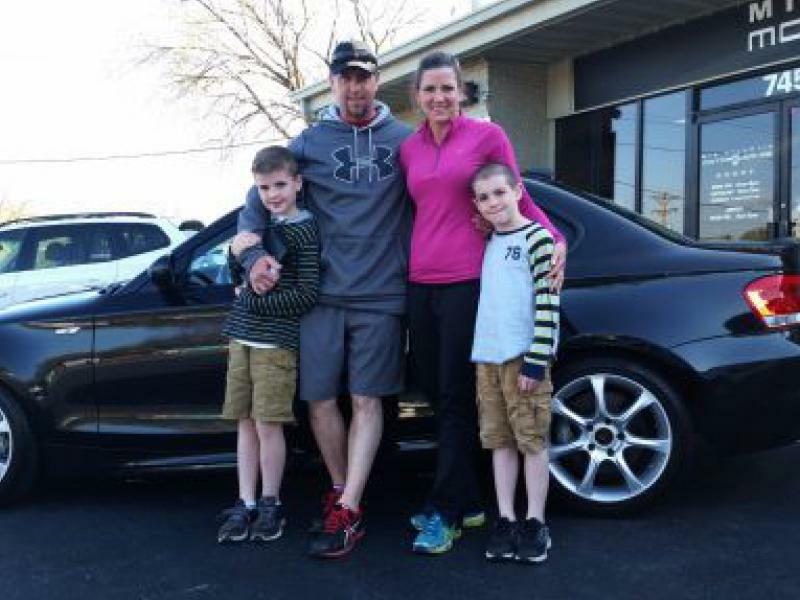 Following the test drive, the entire purchase process took approximately fifteen minutes, thanks to the thoroughness and the superb level of service provided by Dallas Hummel. Indeed, this was a pleasant and smooth buying experience. It was well worth the drive to Harrisonburg, Virginia. 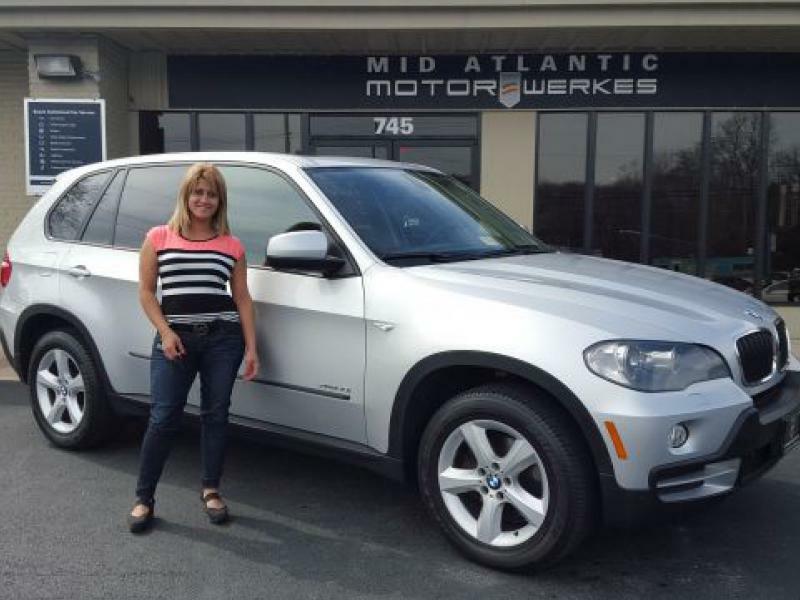 My husband and I had been looking for a BMW X5 for a few weeks, when we found one at Mid Atlantic Motorwerkes. Greg Shaffer contacted us almost immediately, he worked quickly and efficiently to help in a time crunch. He was personable and accommodating, it felt like working with family. 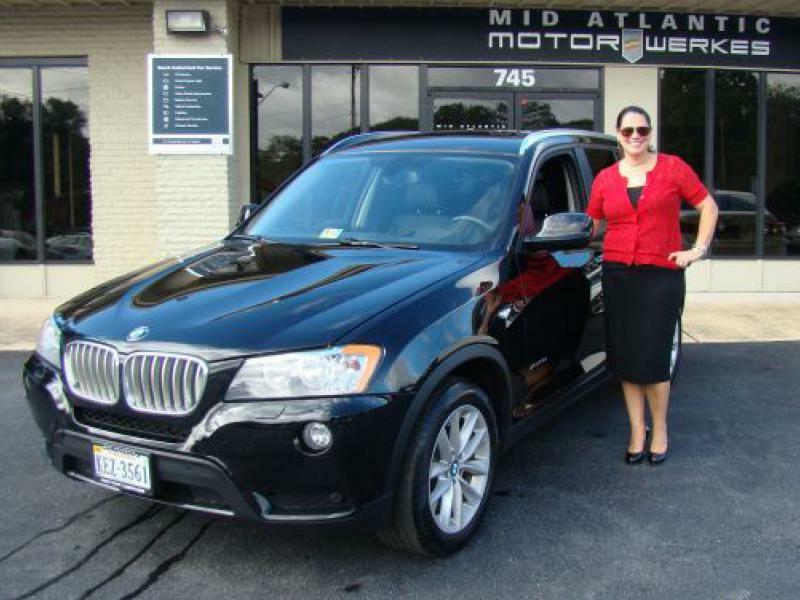 We travelled 4+ hours to get the BMW X5 and it was worth it. The car was in great condition, and was accurate according to his website description. 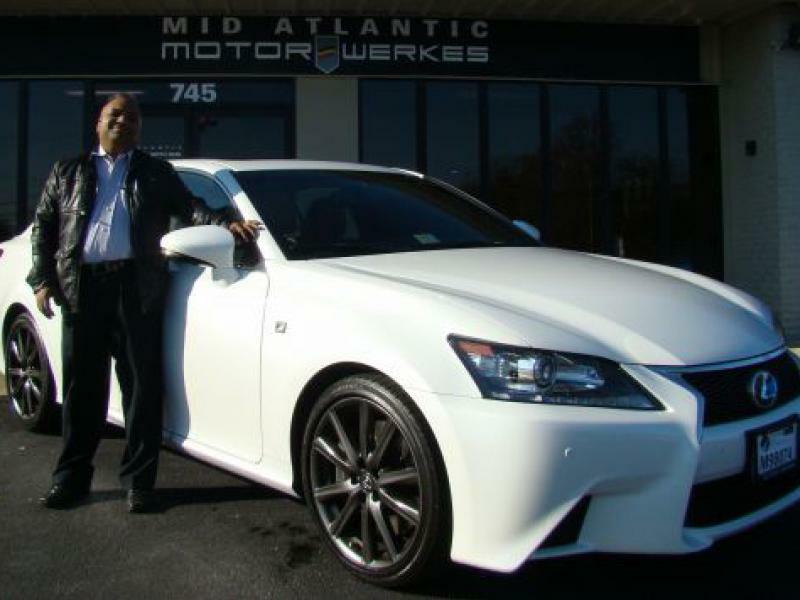 We would highly recommend purchasing a vehicle from Mid Atlantic Motorwerkes. 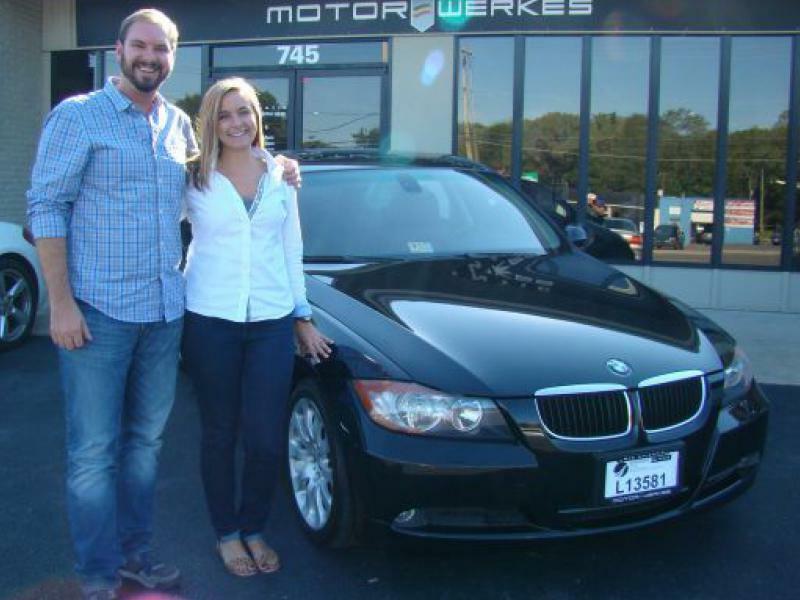 Buying a car from Mid Atlantic Motorwerkes was extremely easy and hassle free. The team was very professional...in every sense of the word. I was very impressed with the high quality of cars they had in their inventory. All of their cars were extremely clean. Shopping for a specific car can be a tedious process especially when you are a picky enthusiast and cannotfind what you are looking for locally. I recently found myself in this situation and turned to the internet to seeif I could find what I was looking for. 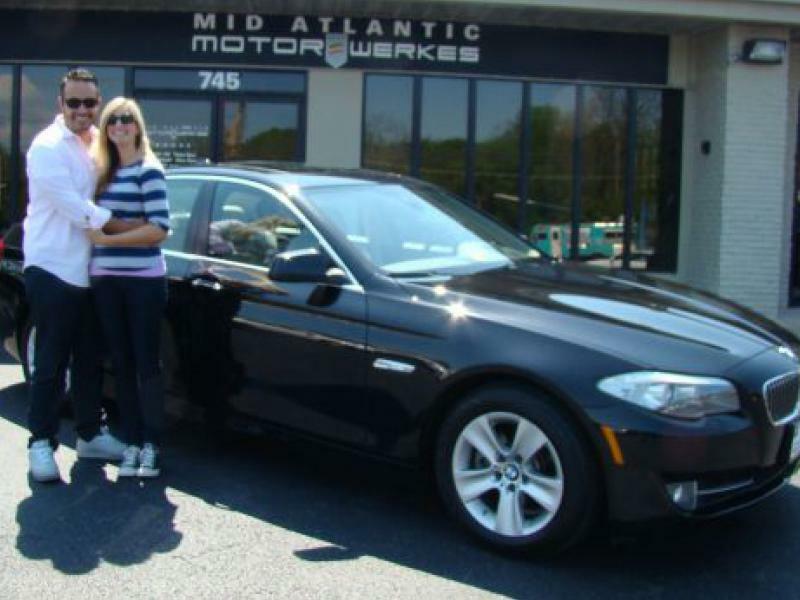 This is when I came across my BMW 328i and decided to send an emailfrom one of the major car shopping sites. Greg called me back within the hour to go over any of my questionsI may have had. I explained I wanted a car that pretty much looked and felt brand new and being that I wouldbe buying sight unseen the more details the better. In the same day Greg sent me his contact info, 50+ highresolution pictures detailing everything about the car, A full carfax + all the BMW maintenance records. This seemed to good to be true but after speaking with everyone at MAM and finding out this was an enthusiast randealer that takes pride in what cars they offer I was sold, They were extremely easy to work with and provided a fairprice that we were both happy with. Before I knew it the car was being shipped to me. Once it arrived it was every bit of what Greg described and I couldn’t be happier, MAM is top notch and has earned my business for years to come even being 350+ miles away.You guys rock! Everything above I mean 100% I was nervous just a little buying without seeing the car and it was 100% how you described. 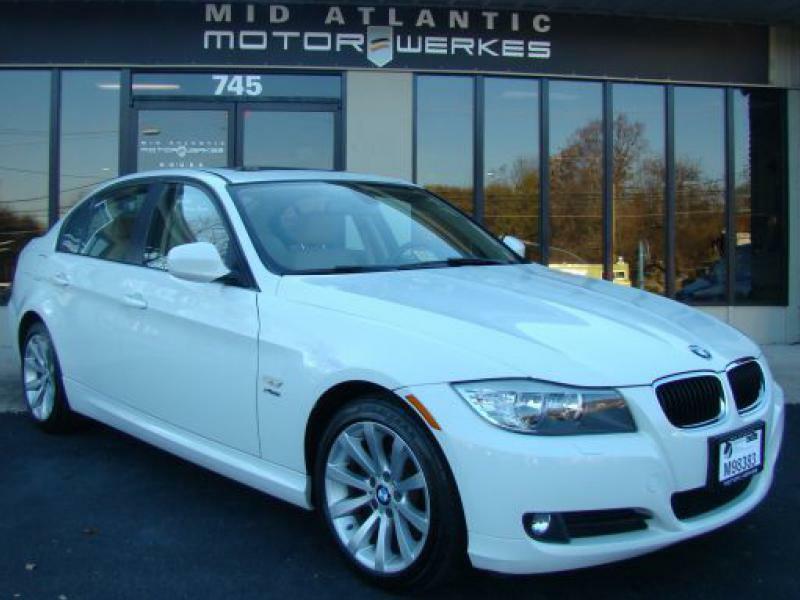 When Im up for another BMW in the future I will be coming to you guy to see if you have what I want or you can locate it. 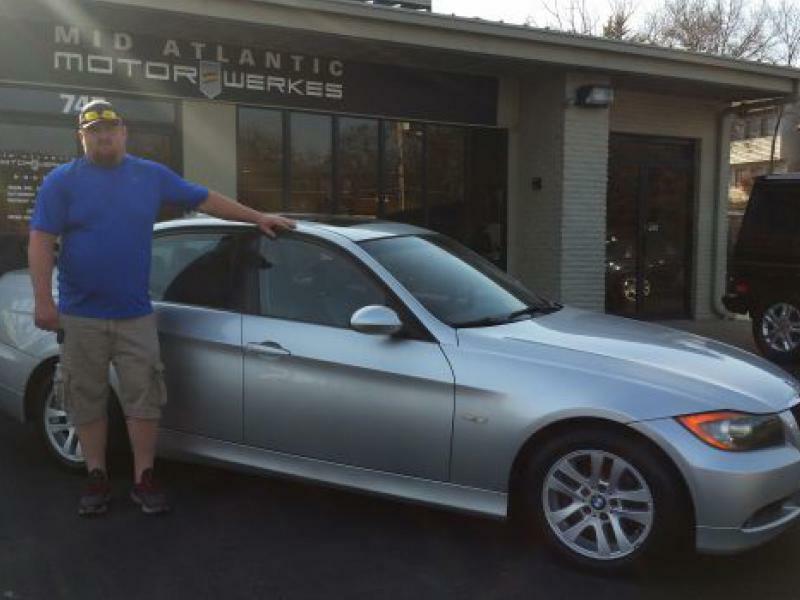 *This is Phil's 3rd BMW purchase from Motorwerkes! 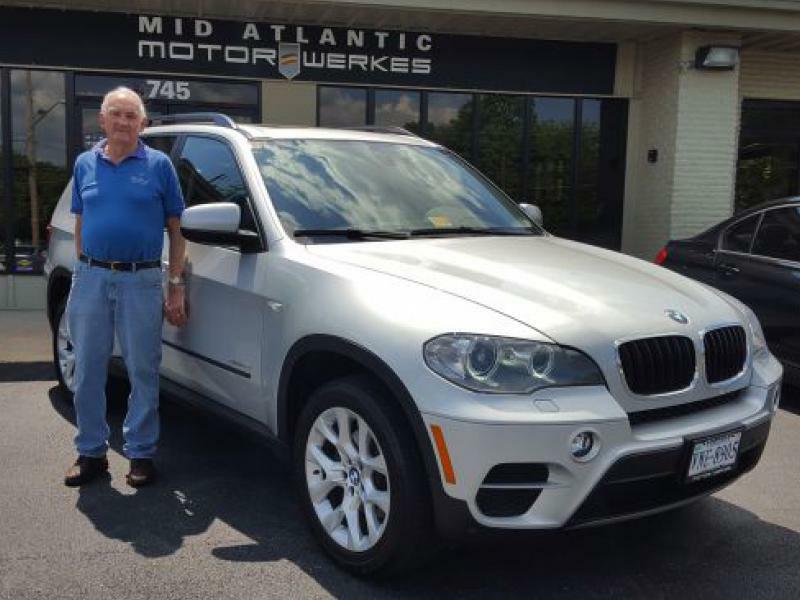 *This is Bill Evan's 4th vehicle purchase from Motorwerkes! 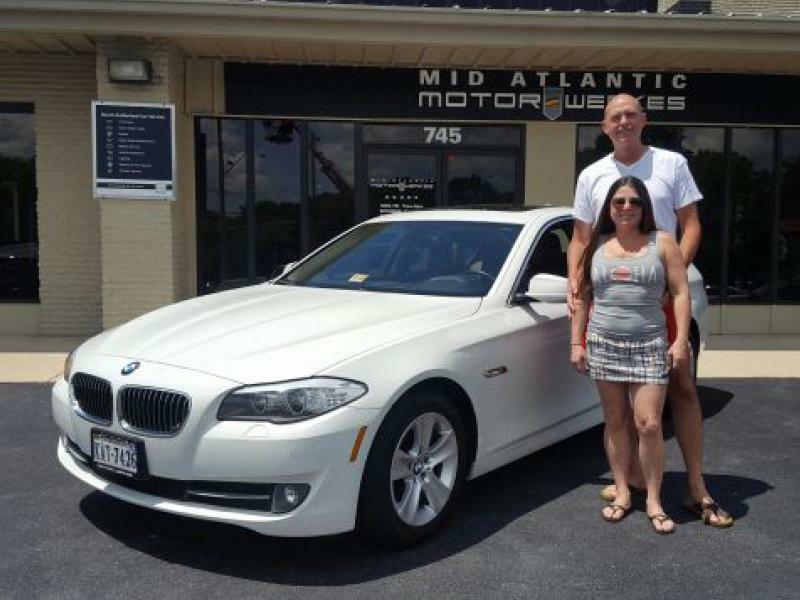 Another terrific and hassle free experience buying my second BMW from Mid Atlantic Motorwerkes! I kept my first car that I purchased from them for about 10 years and finally decided to trade her in. Dallas was wonderful to work with and I love everything about my new car! I am looking forward to seeing them again for vehicle maintenance and check ups!